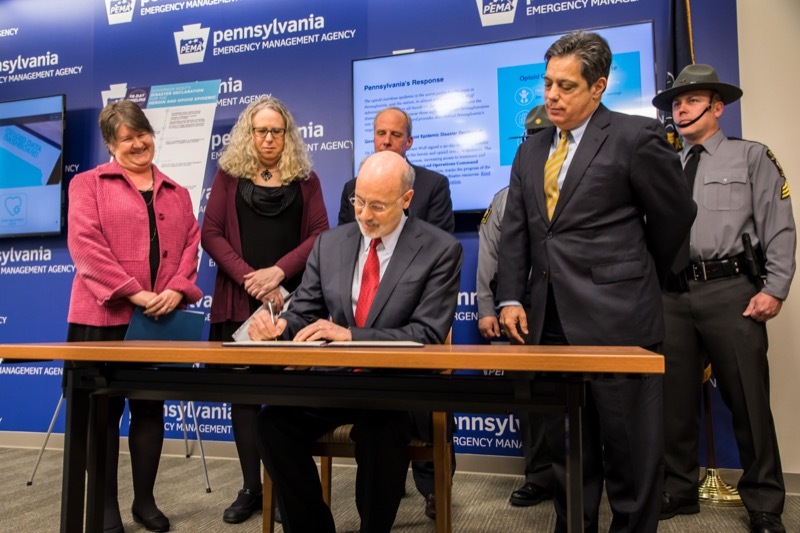 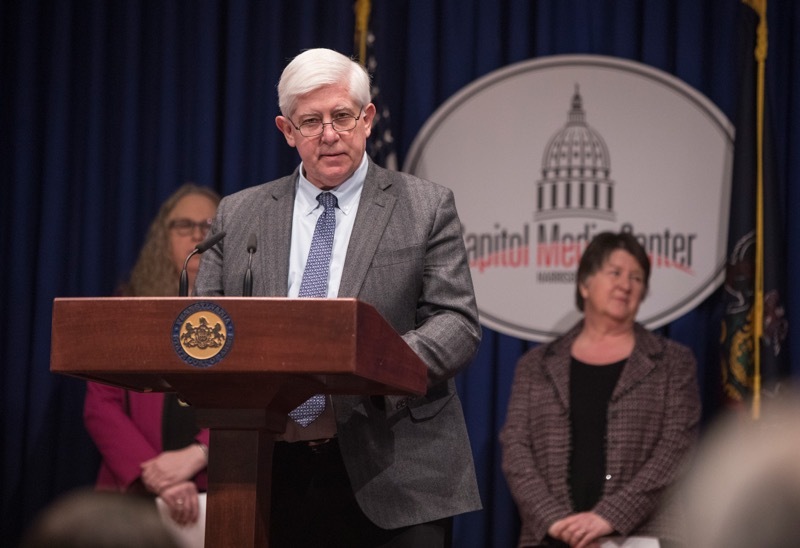 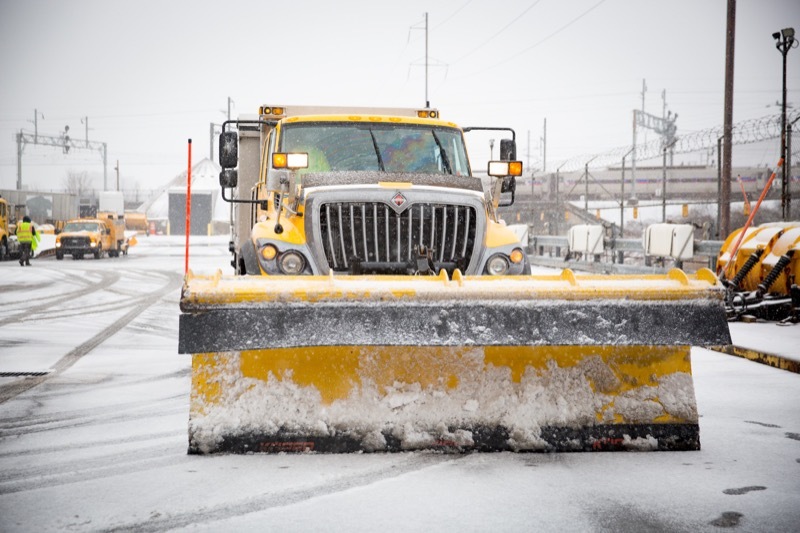 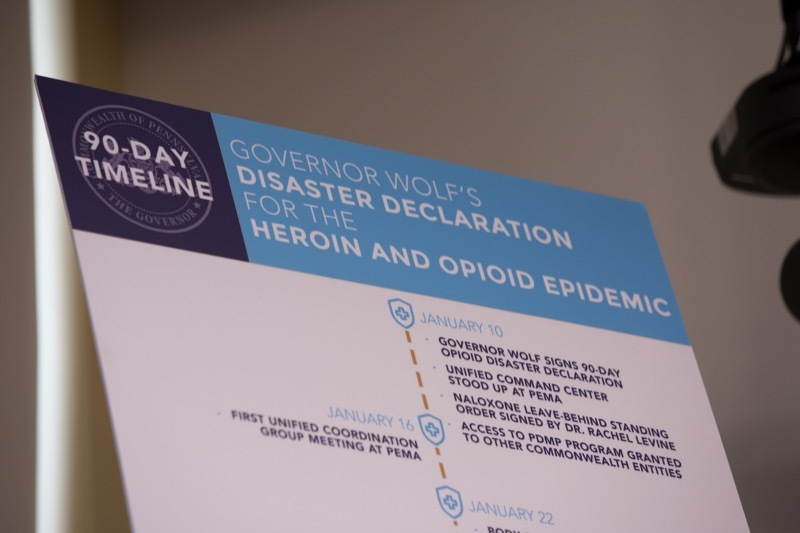 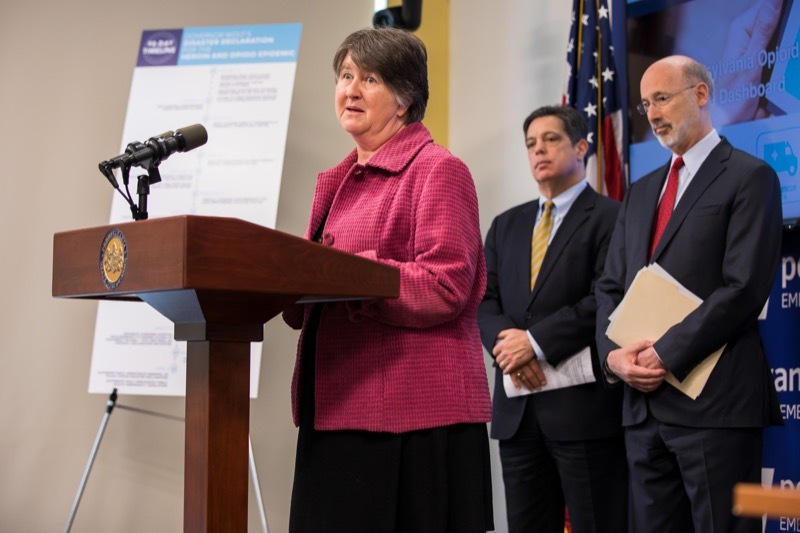 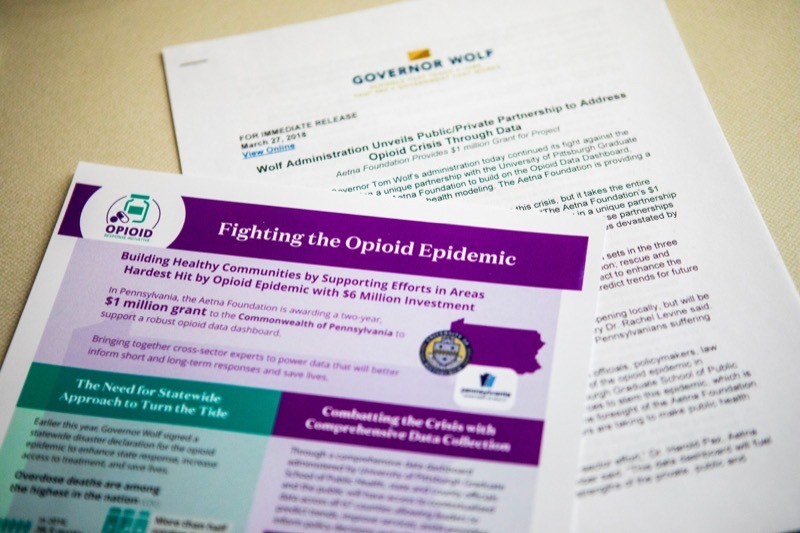 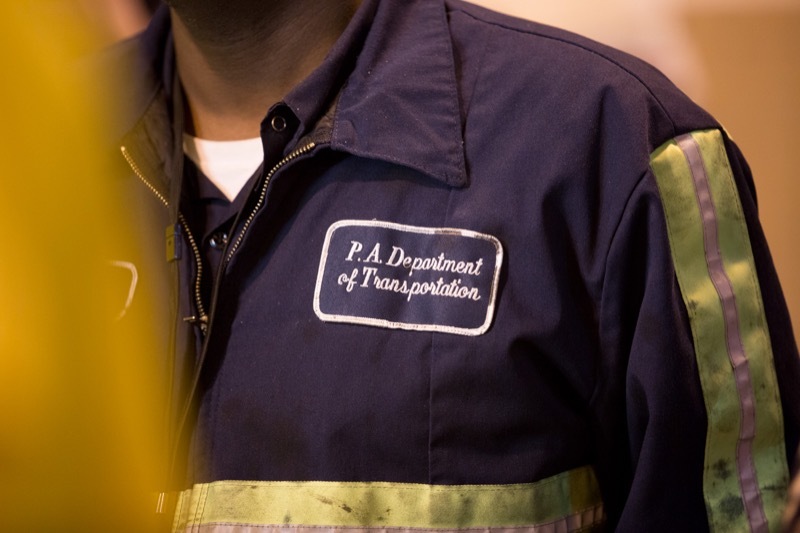 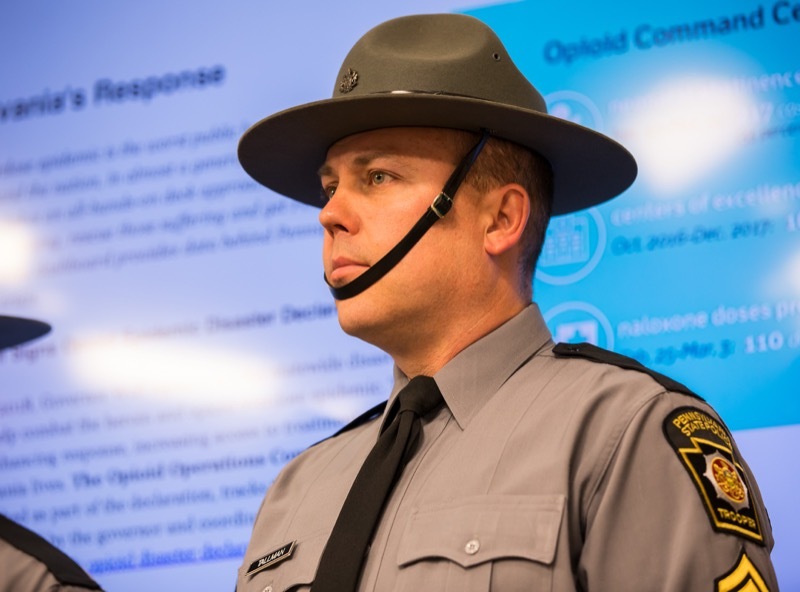 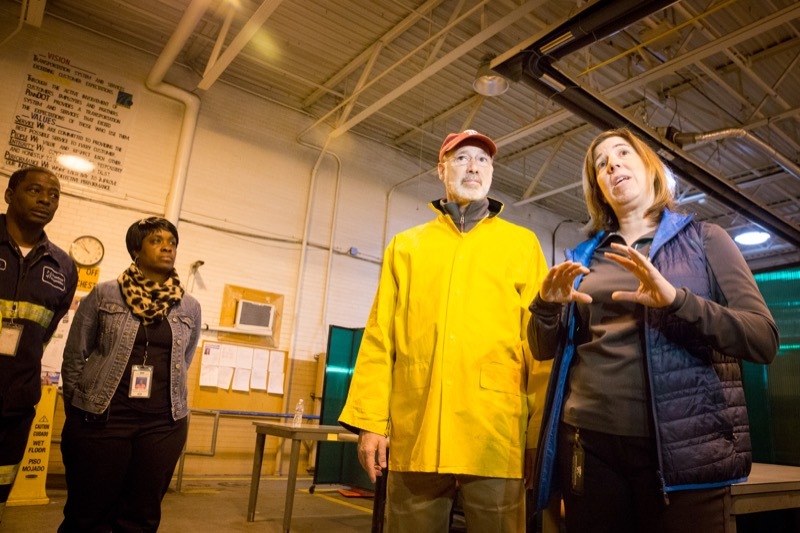 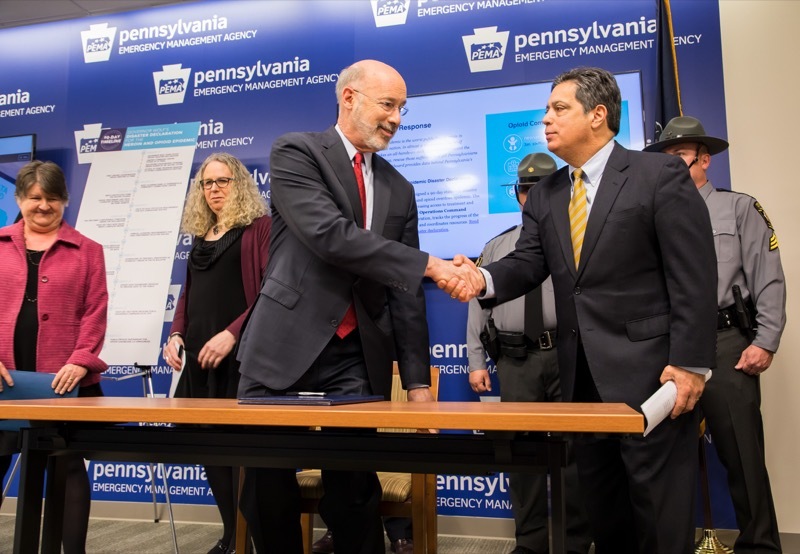 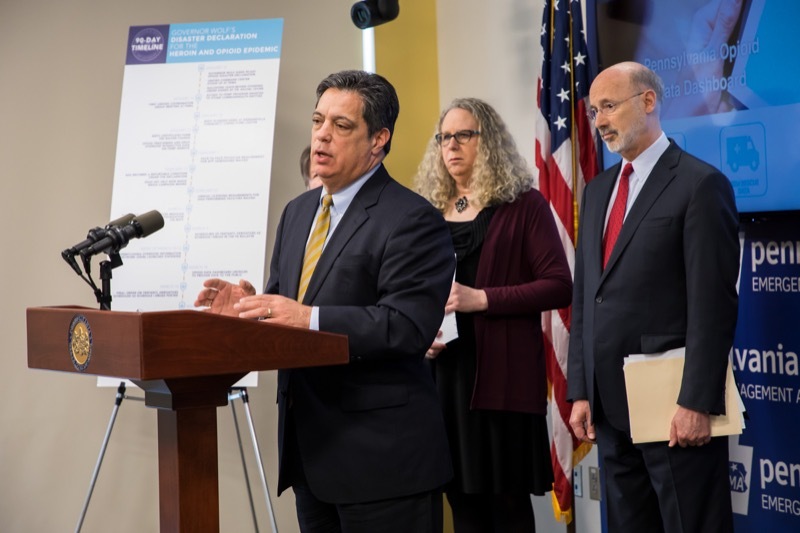 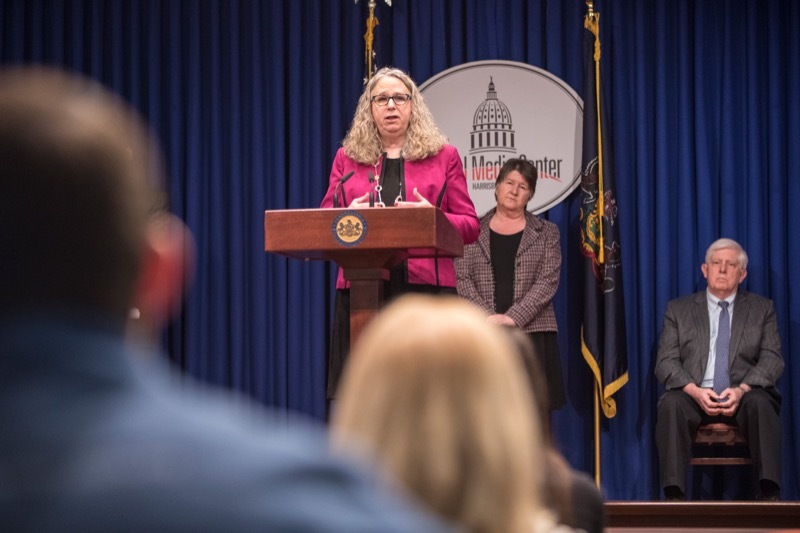 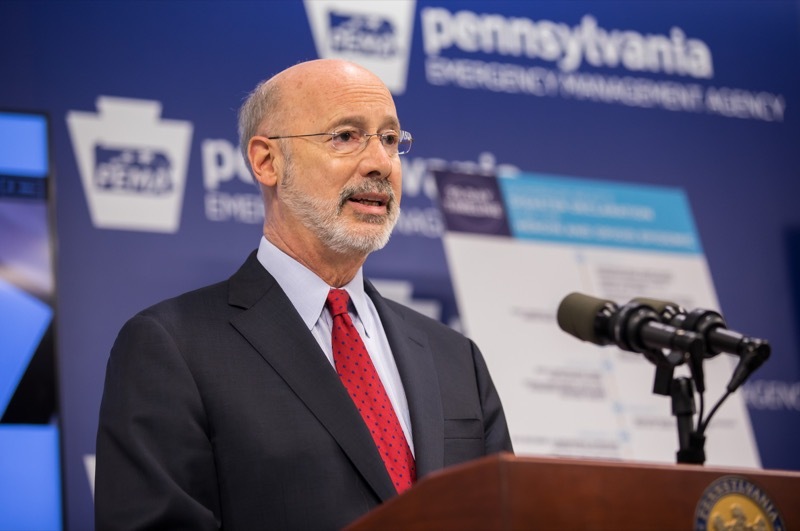 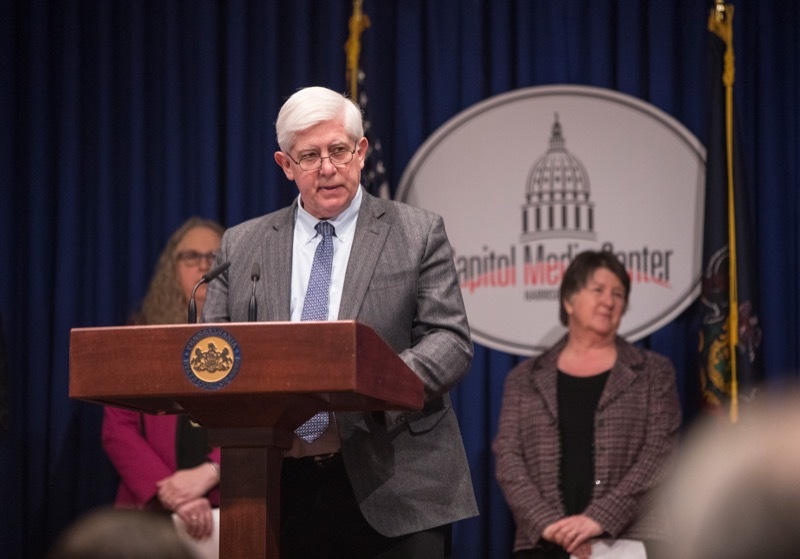 Governor Tom Wolf today announced the renewal of his 90-day opioid disaster declaration, which was introduced in January and set to expire on April 10. 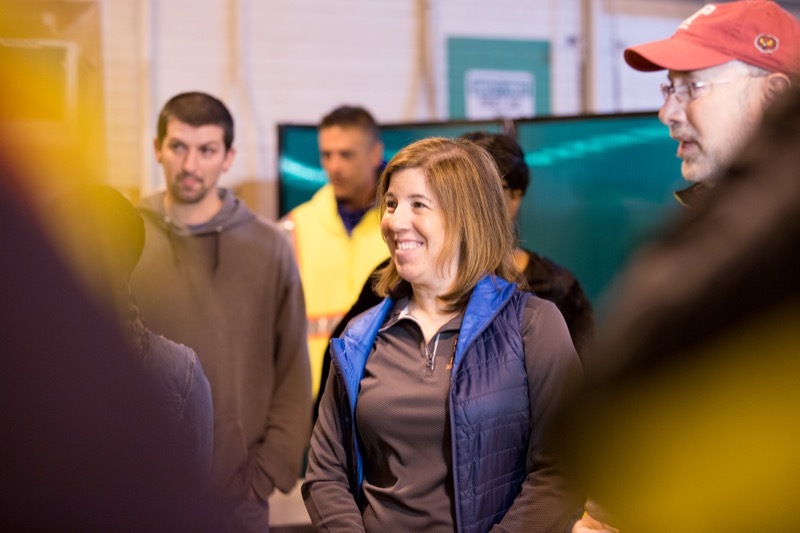 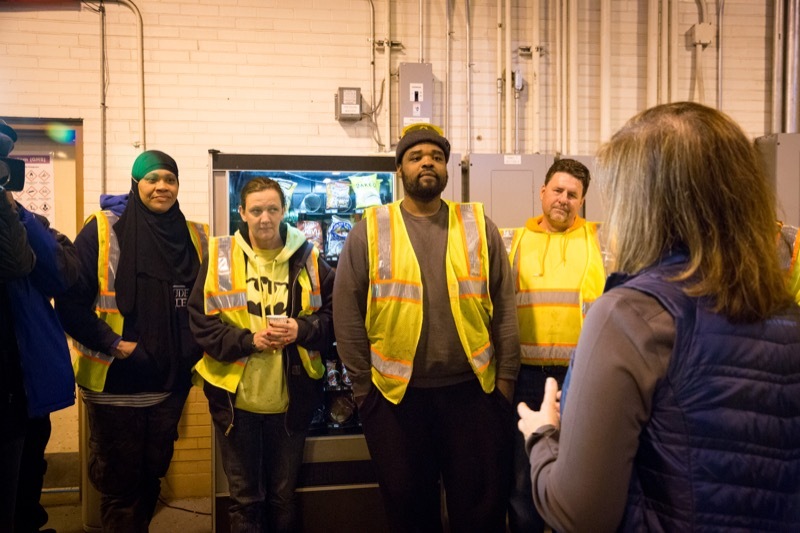 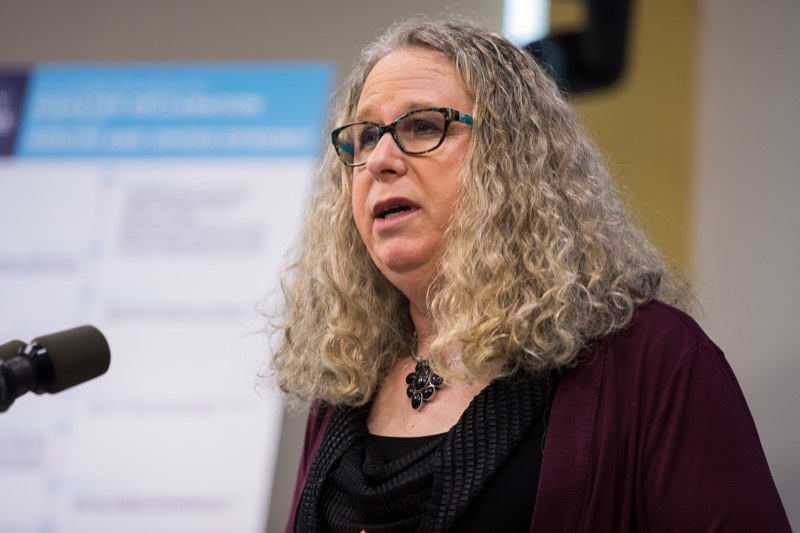 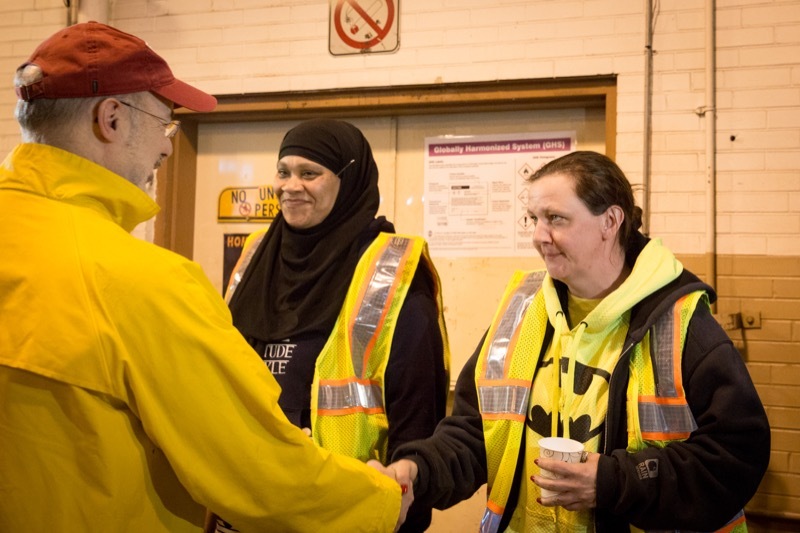 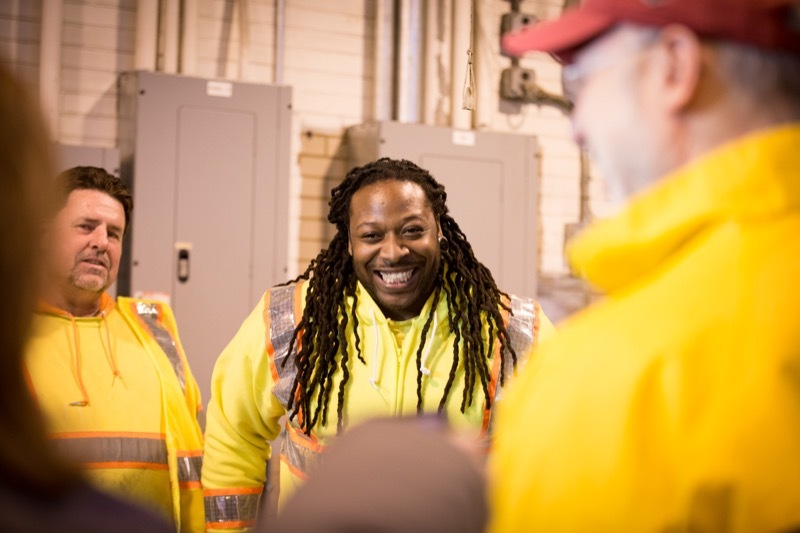 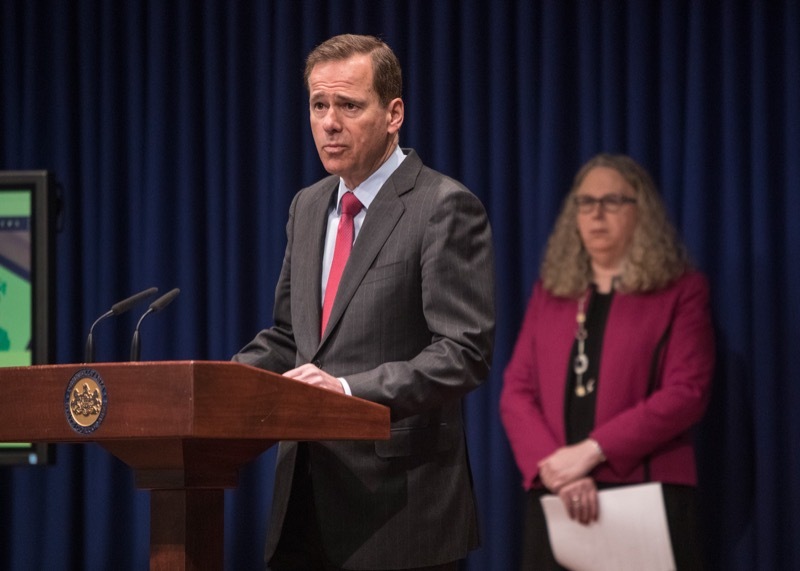 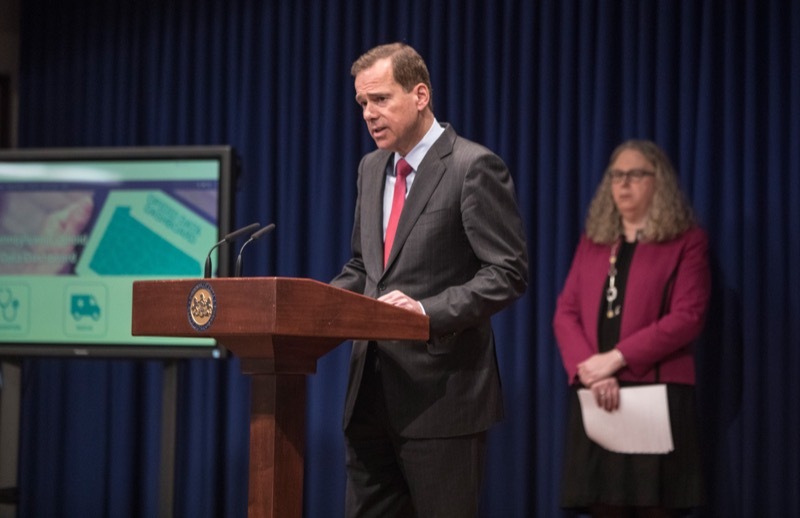 The renewal allows for the 13 initiatives introduced in the past 90 days to continue without interruption and for the introduction of new initiatives to help those suffering from opioid use disorder (OUD). 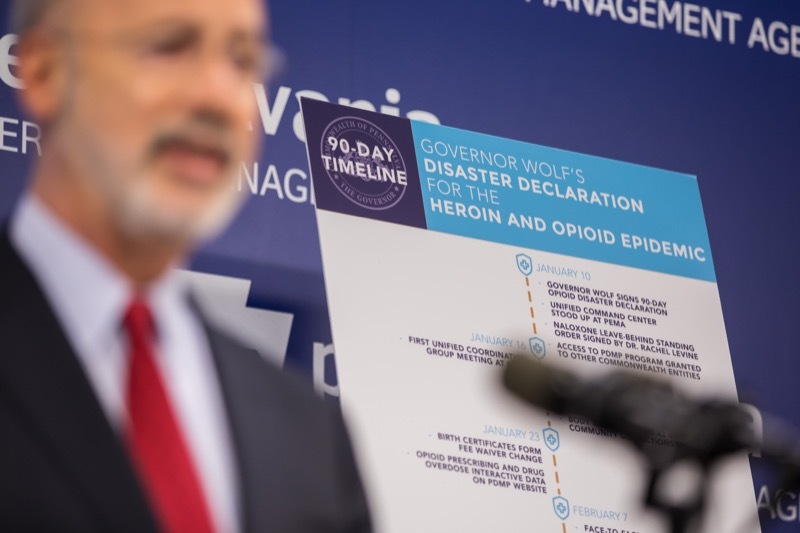 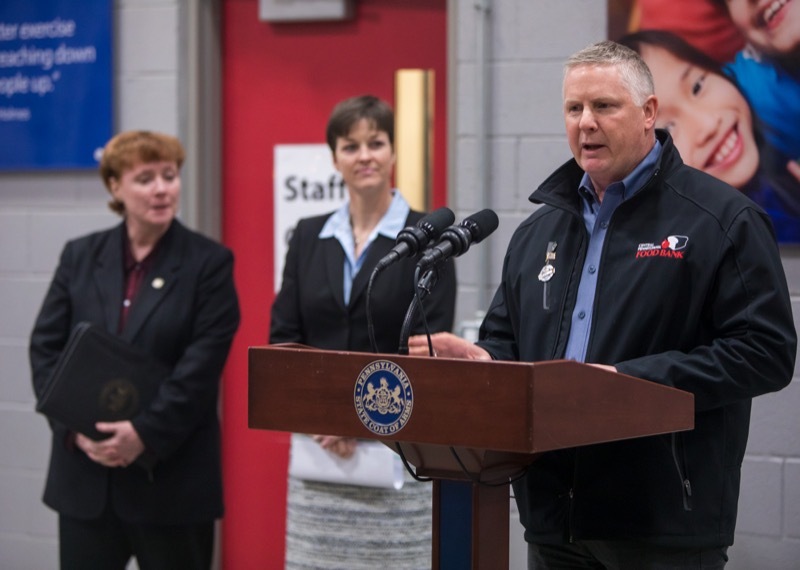 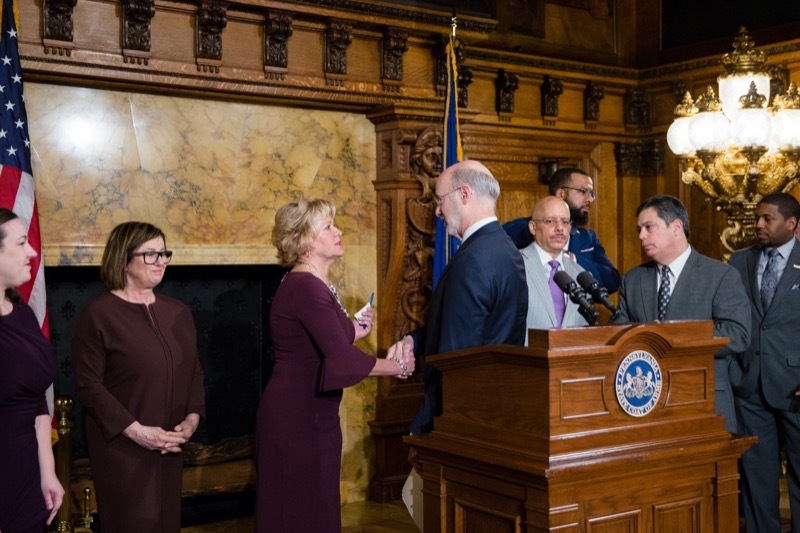 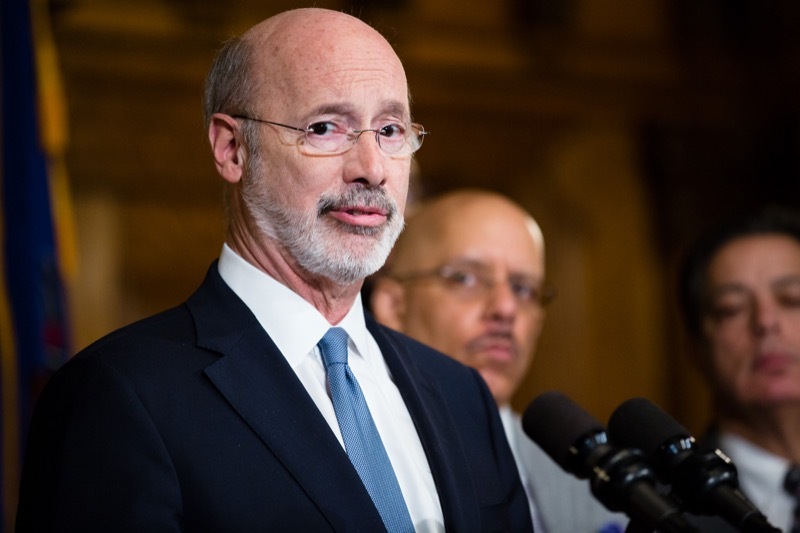 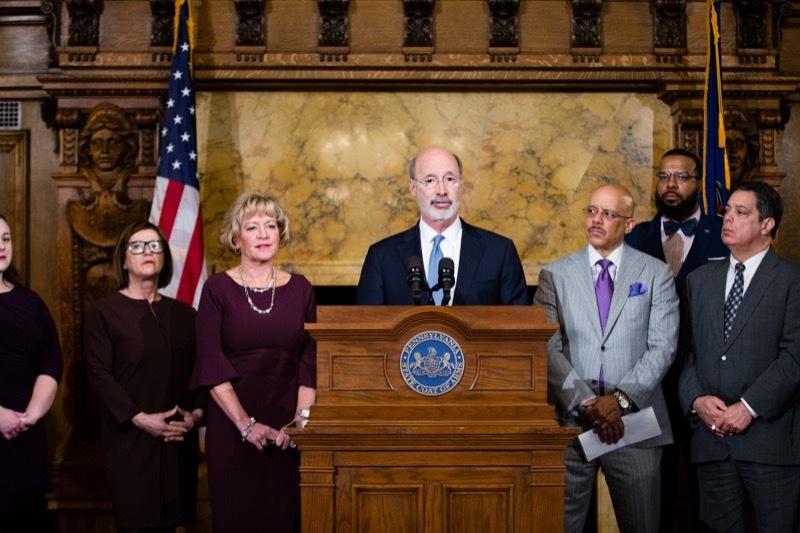 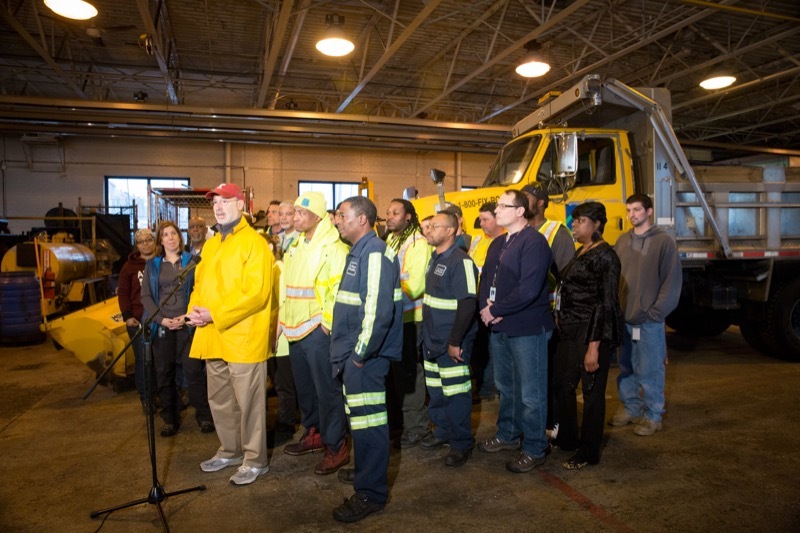 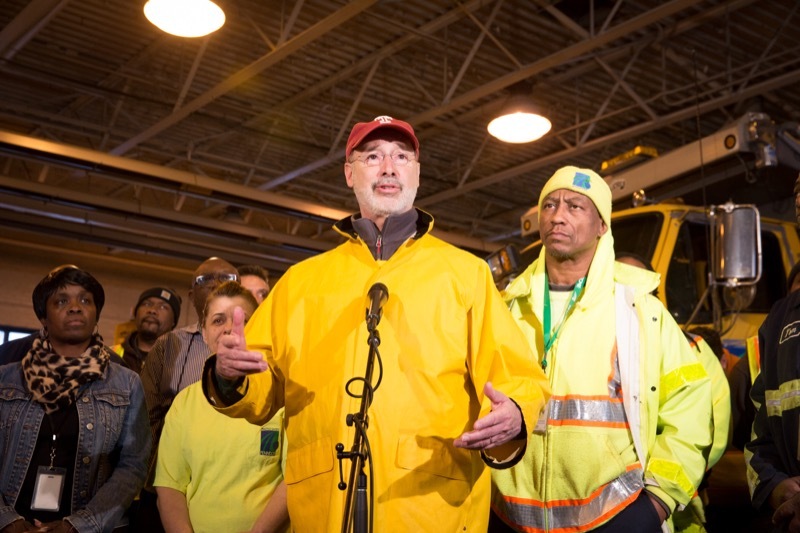 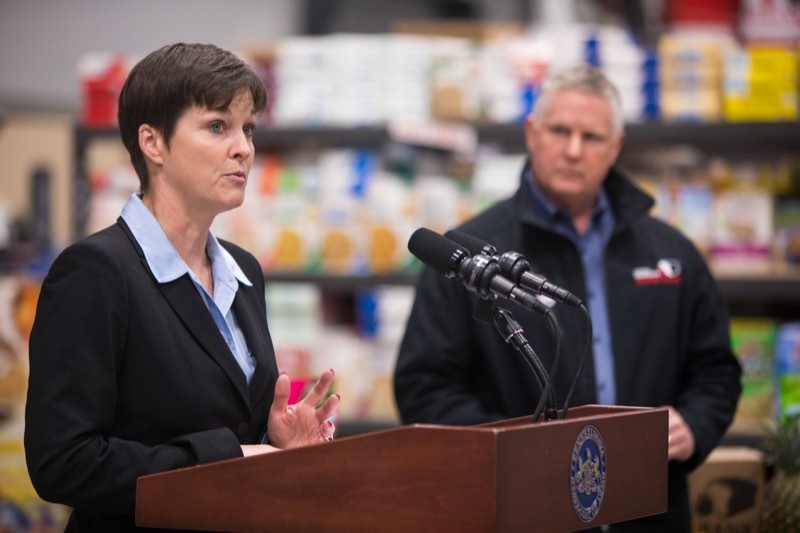 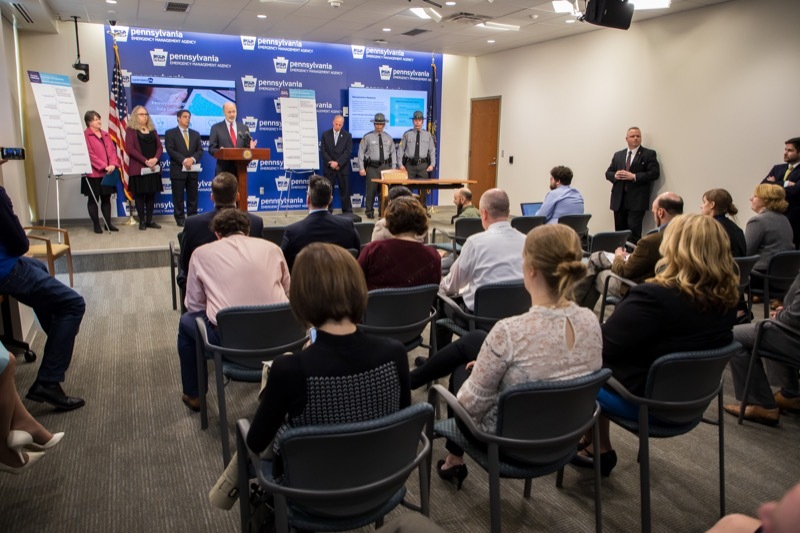 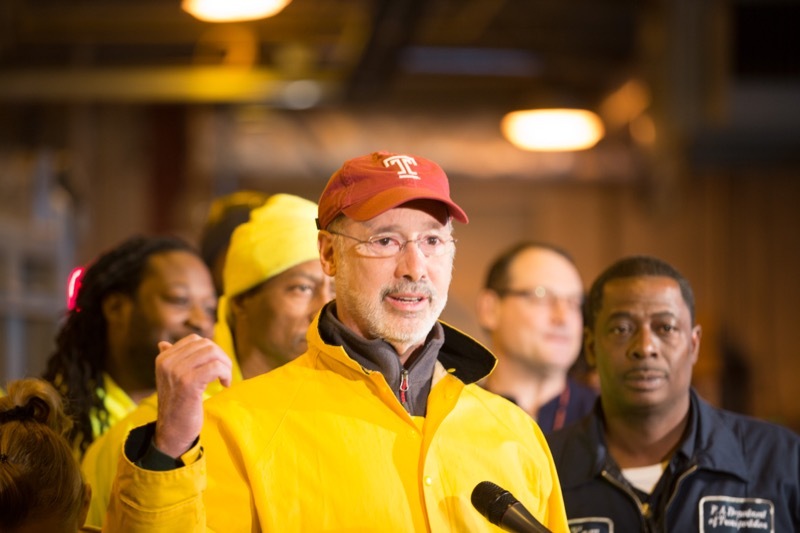 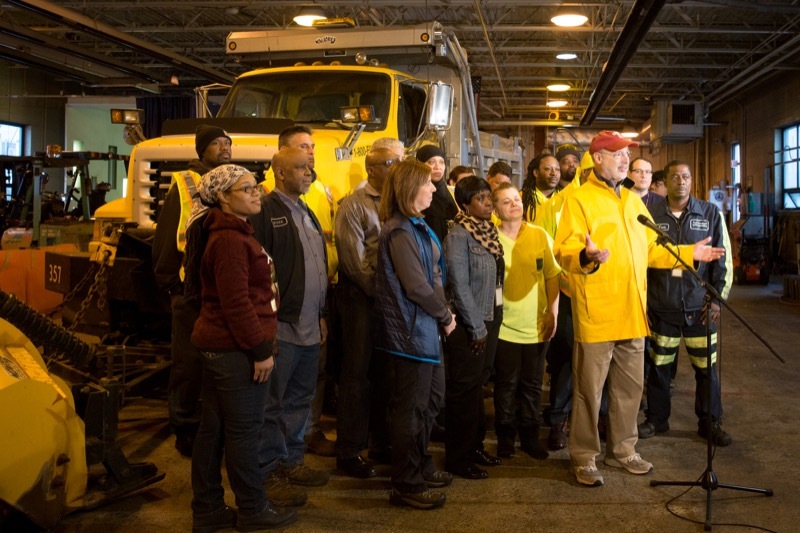 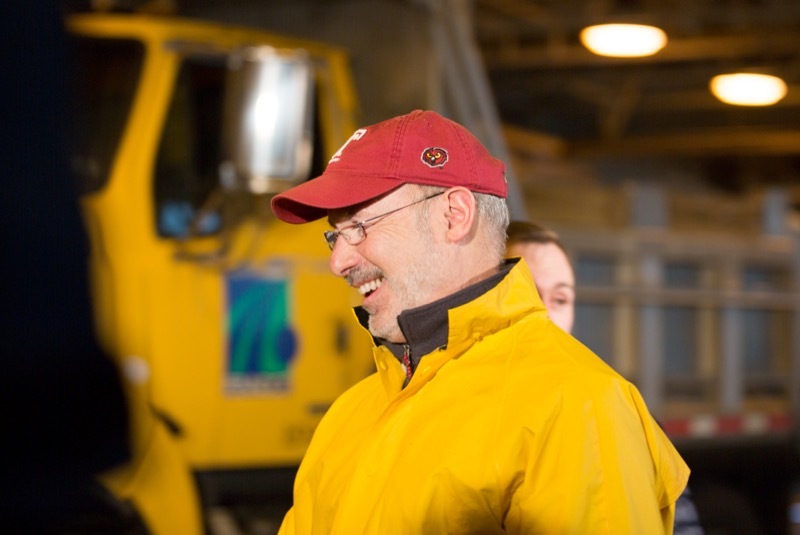 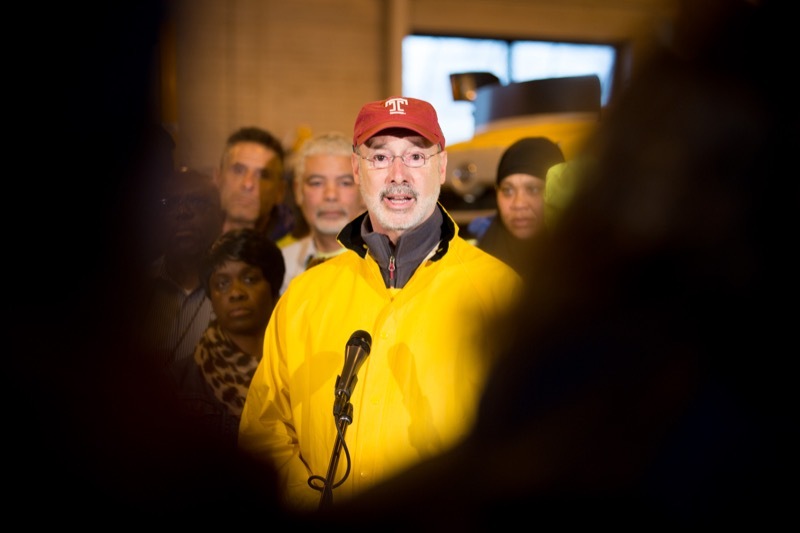 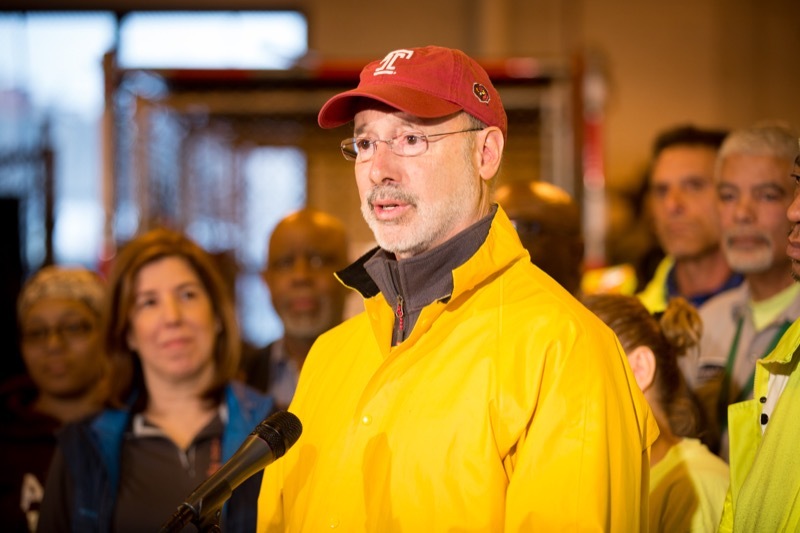 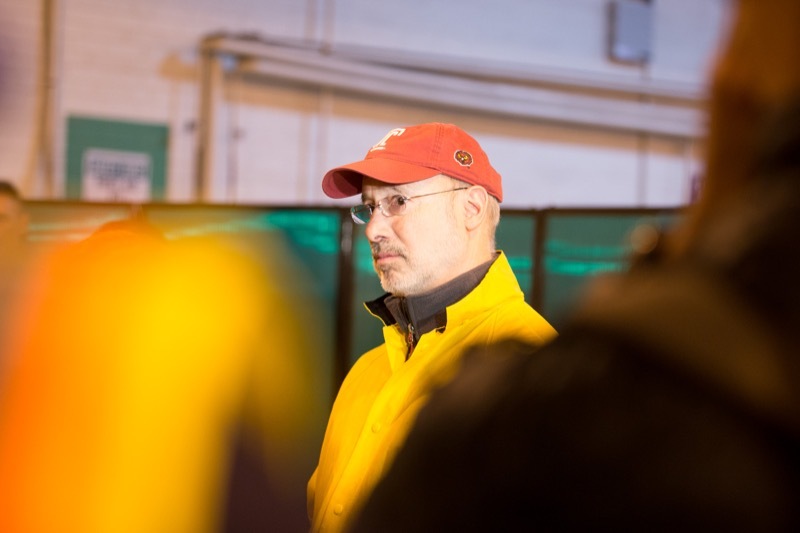 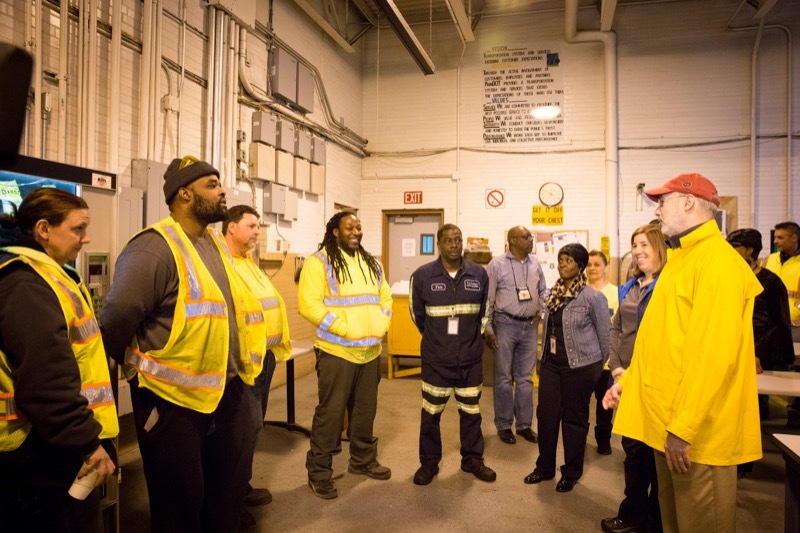 Harrisburg, PA -- Governor Tom Wolf today announced the renewal of his 90-day opioid disaster declaration, which was introduced in January and set to expire on April 10. 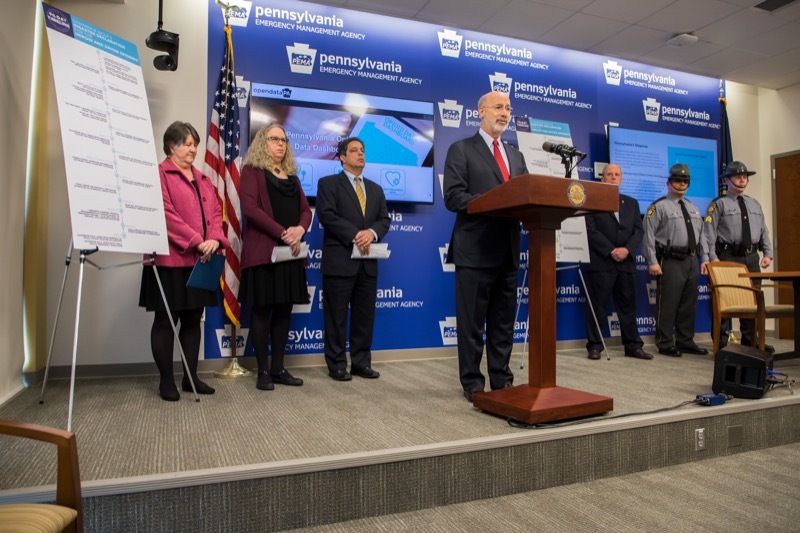 The renewal allows for the 13 initiatives introduced in the past 90 days to continue without interruption and for the introduction of new initiatives to help those suffering from opioid use disorder (OUD). 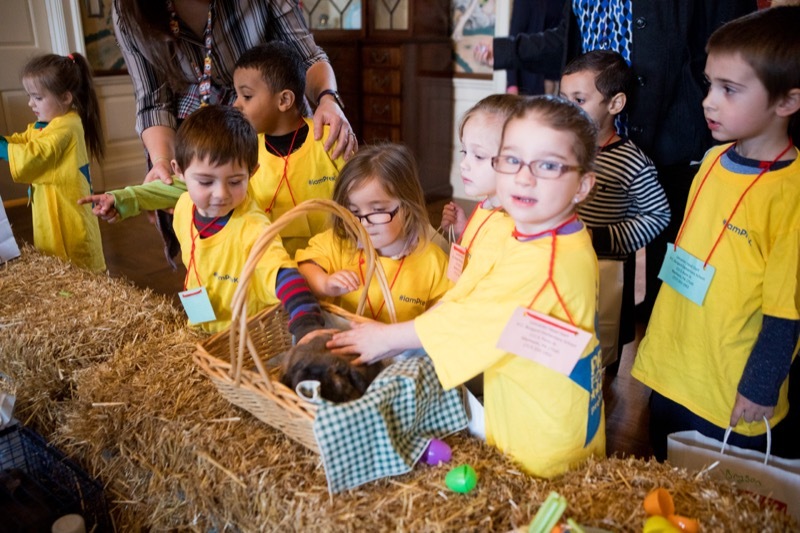 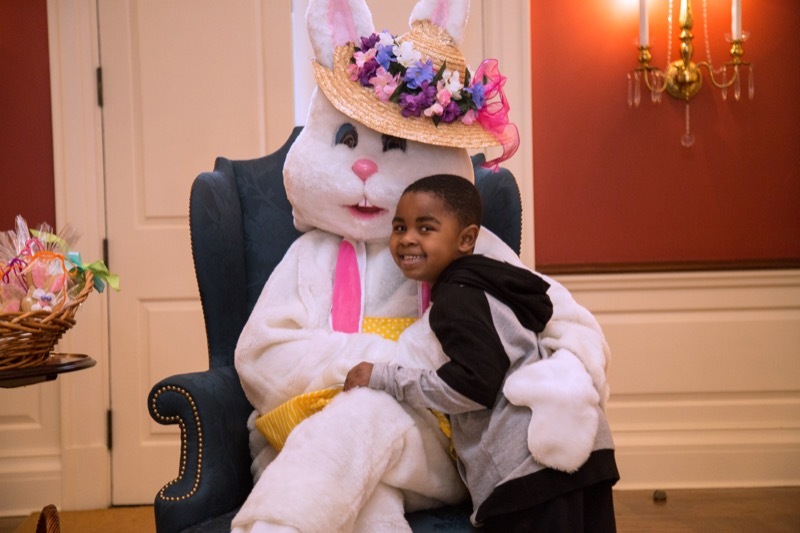 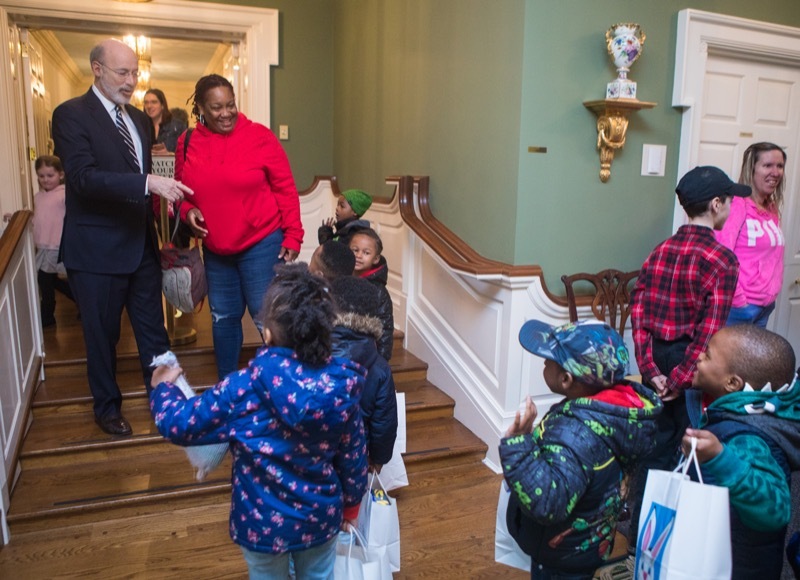 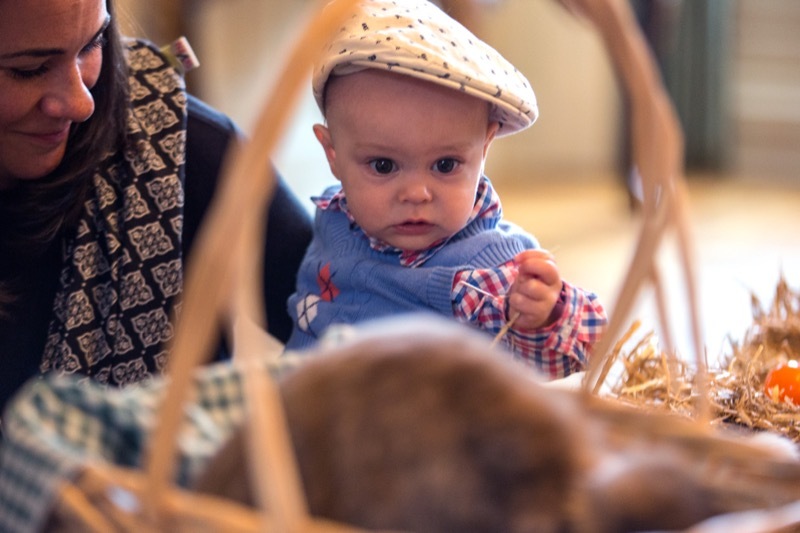 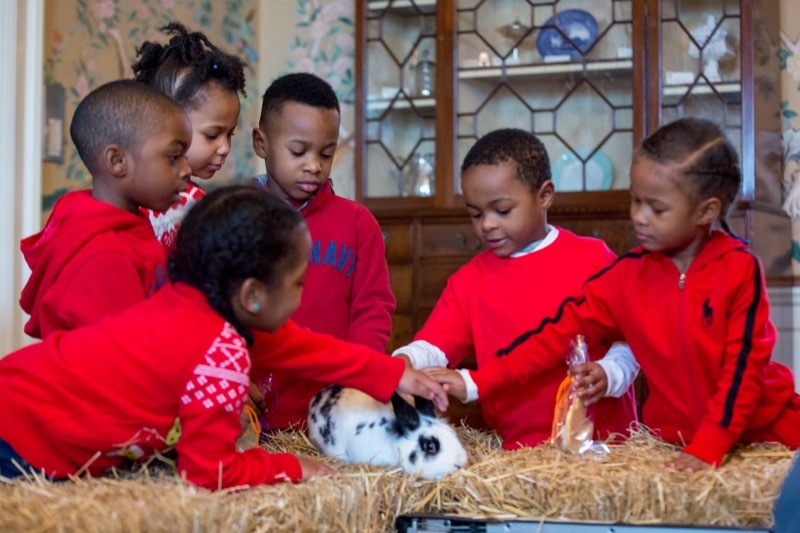 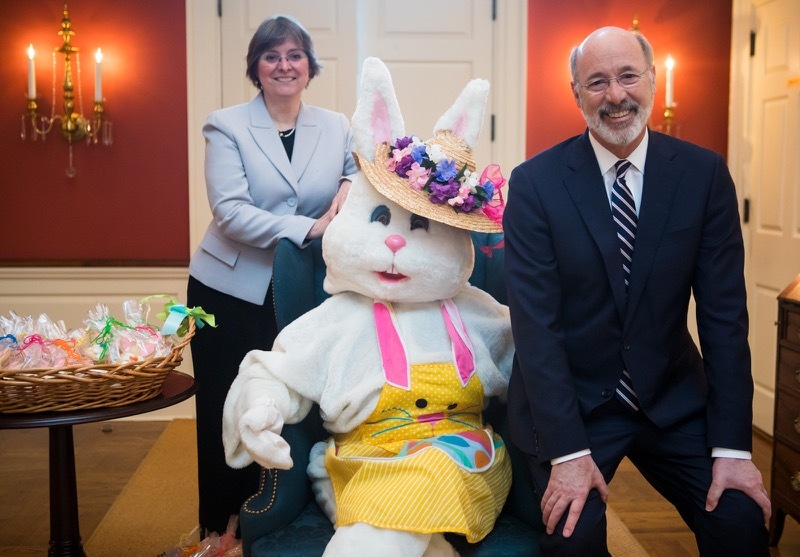 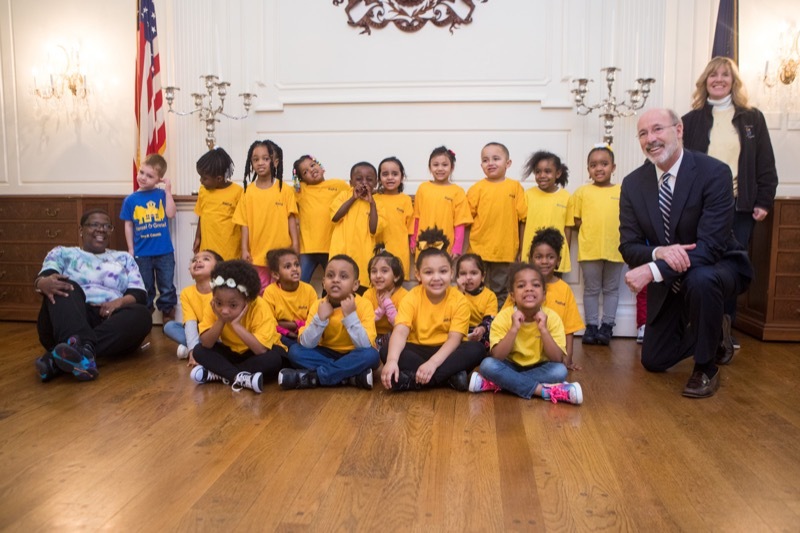 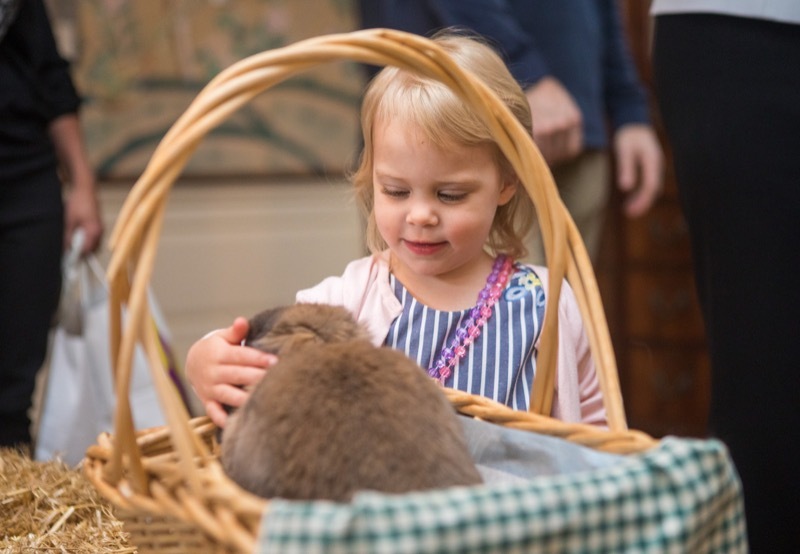 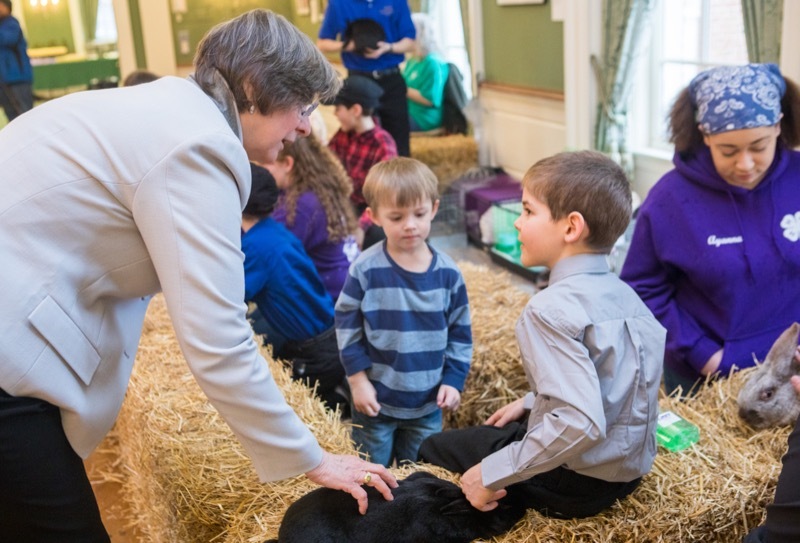 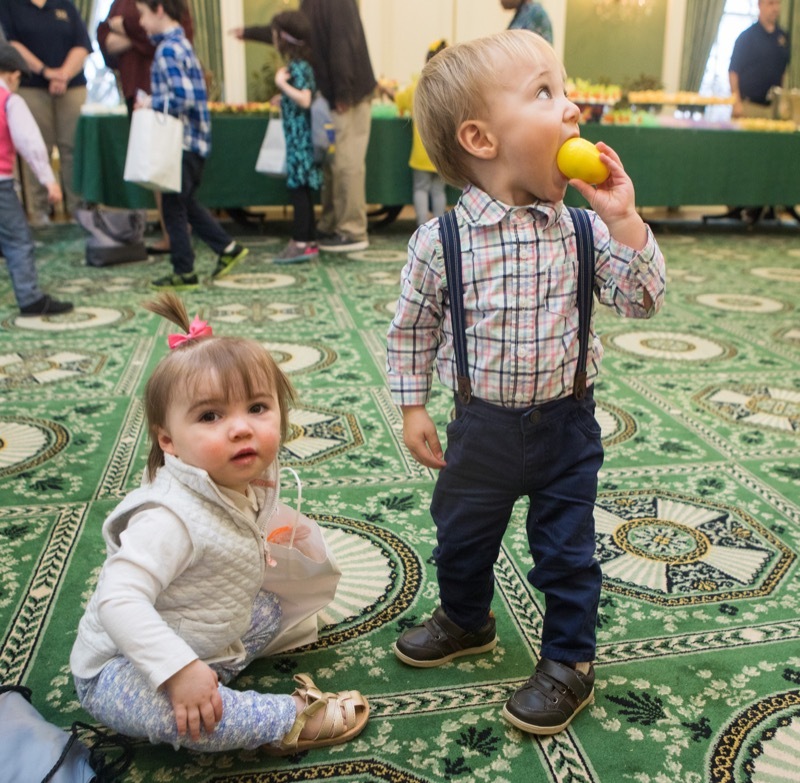 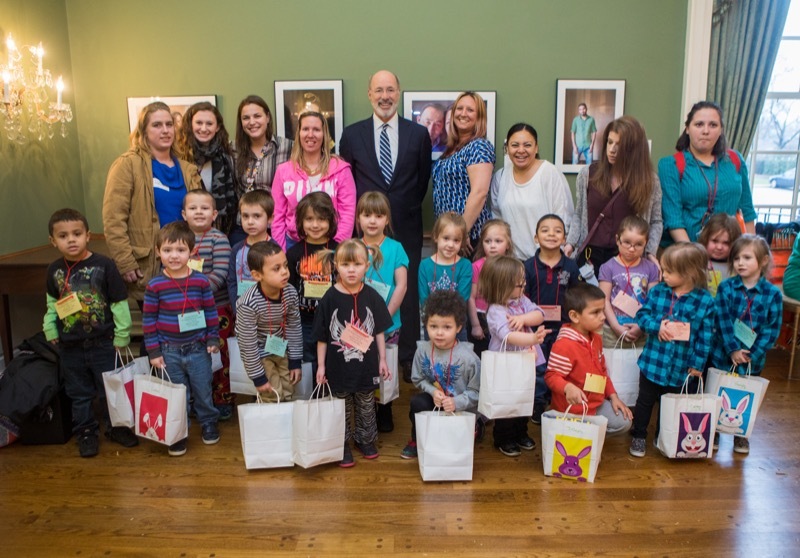 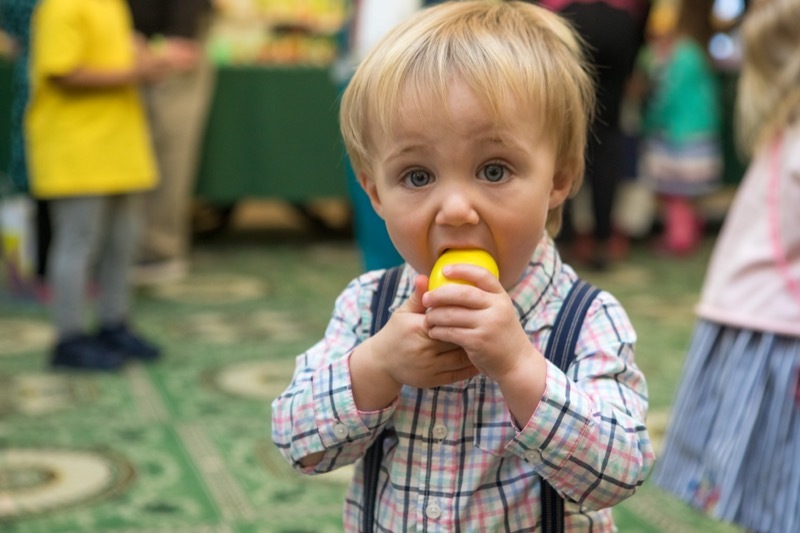 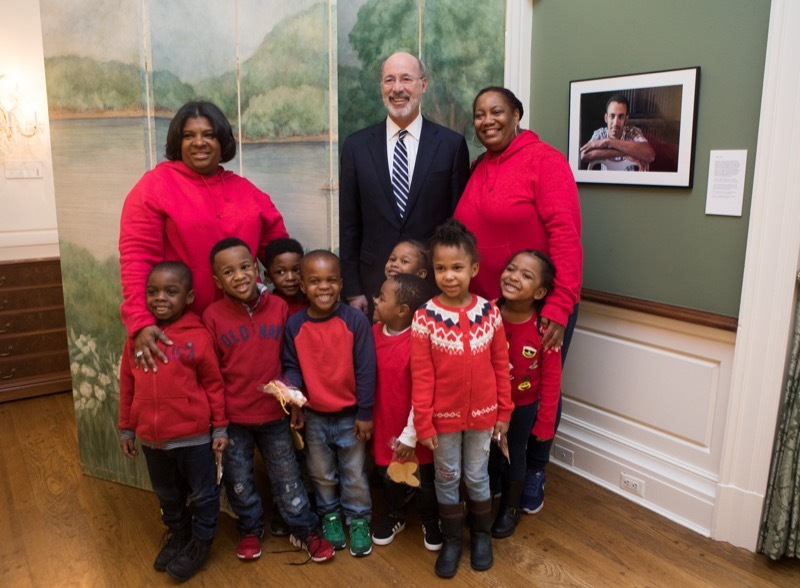 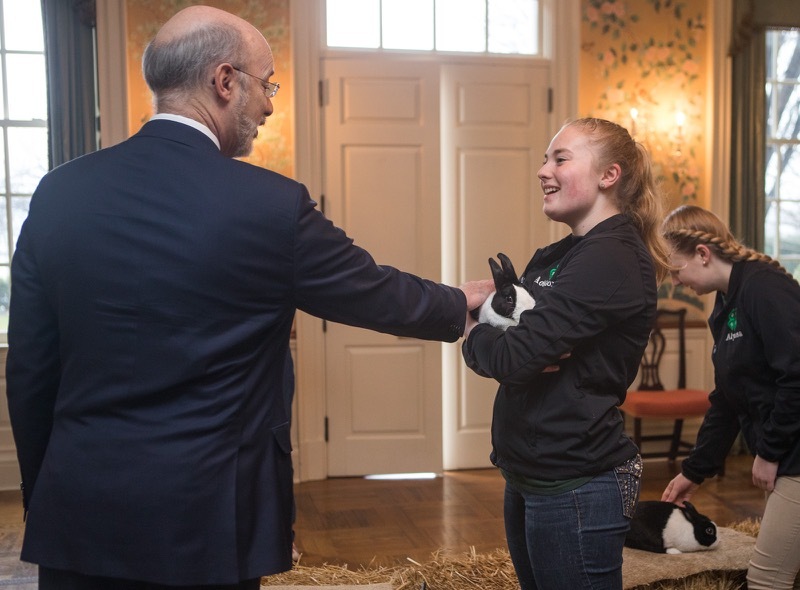 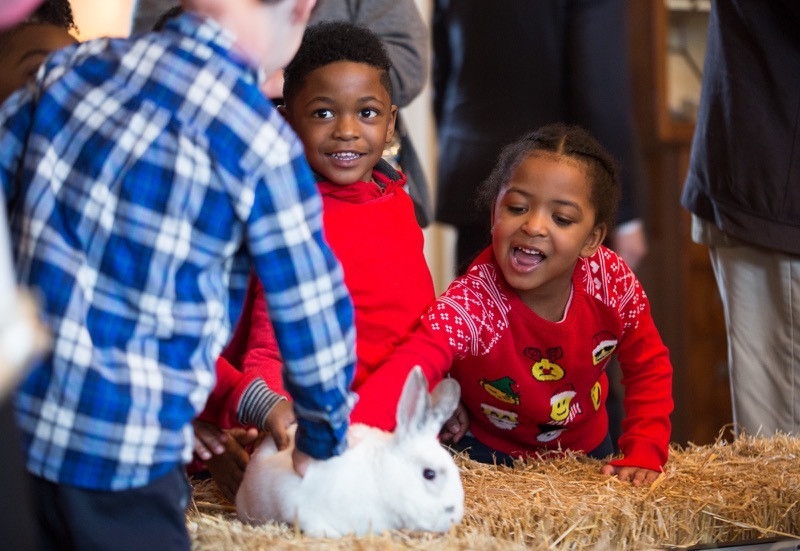 Governor Tom Wolf and First Lady Frances Wolf today hosted pre-school classes from across the commonwealth at the annual Easter Egg Event at the Governor's Residence. 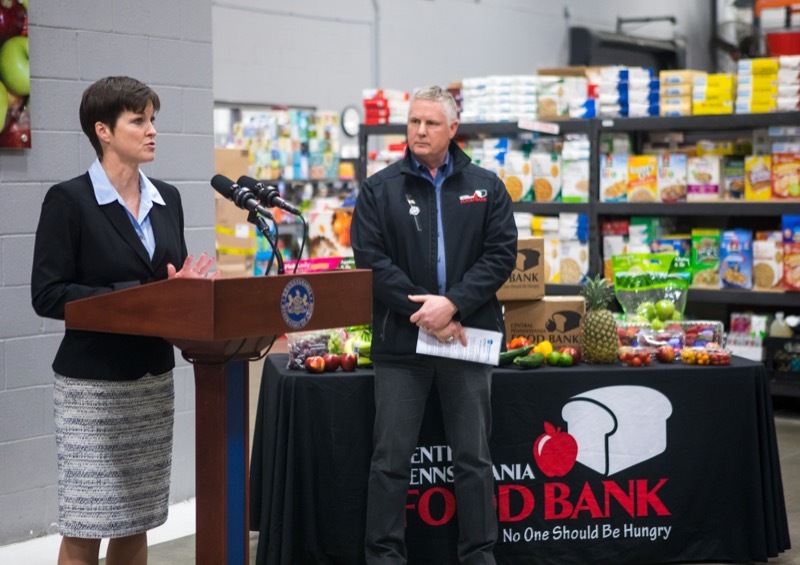 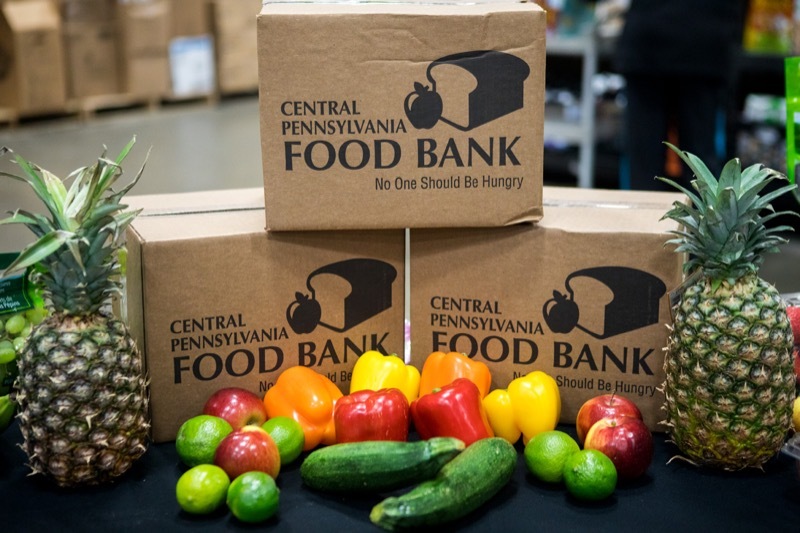 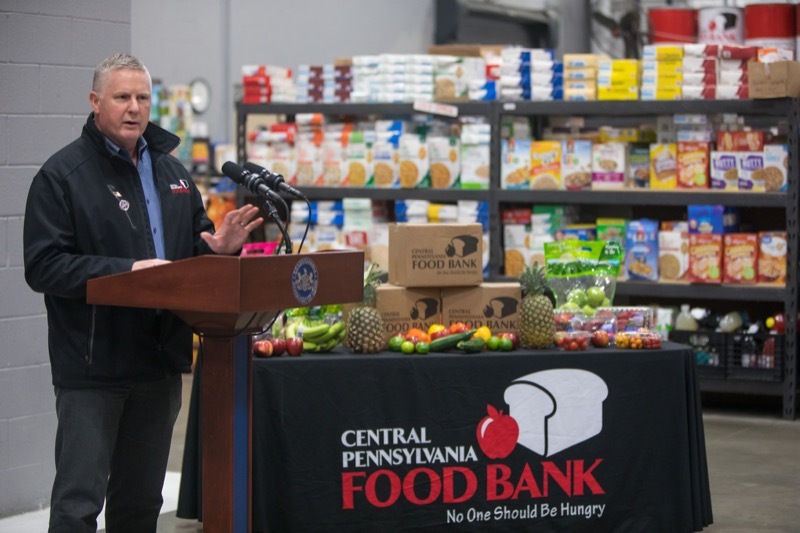 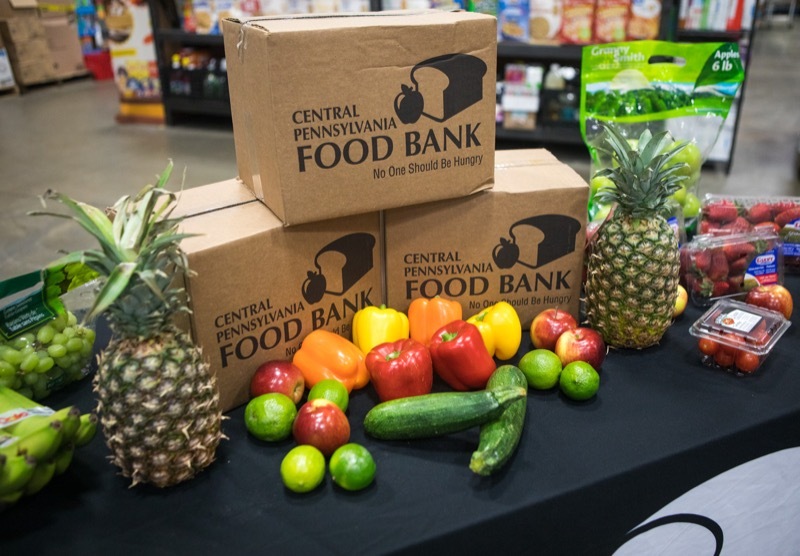 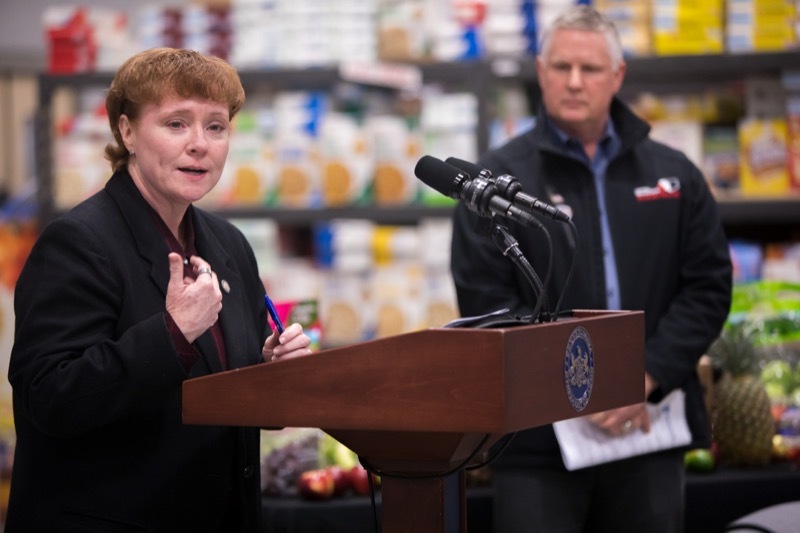 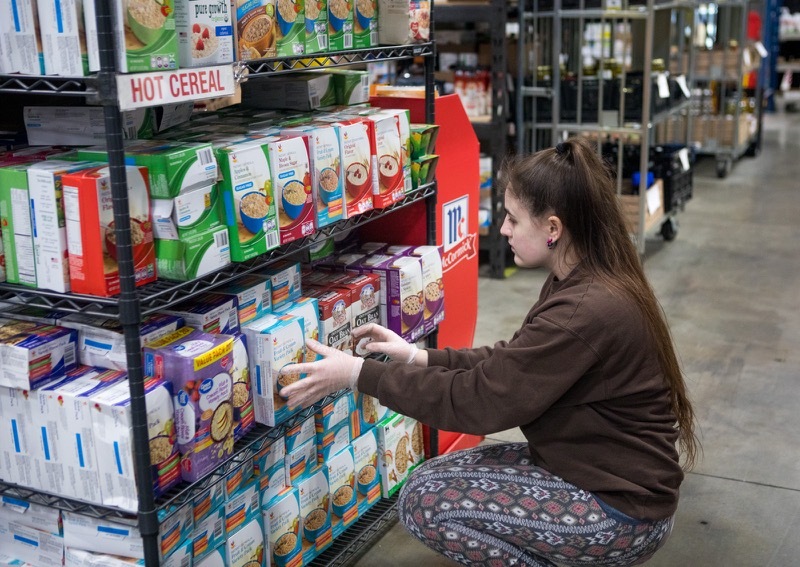 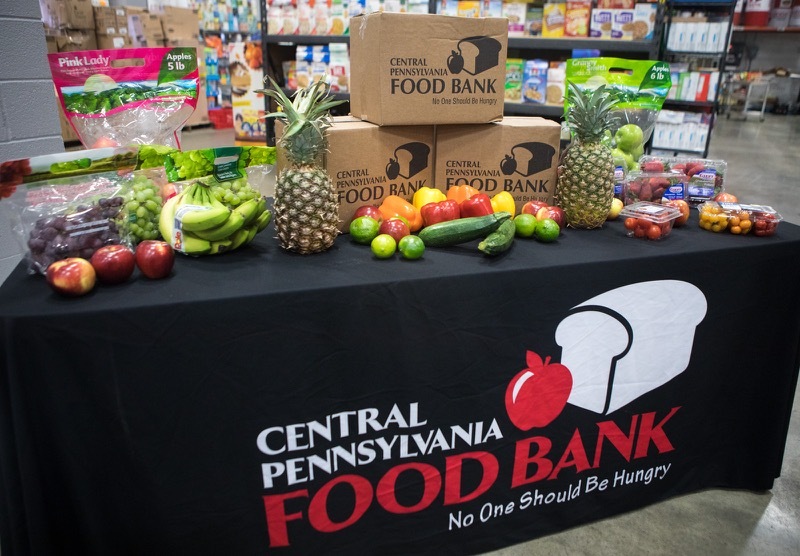 The event was co-sponsored by Pre-K for PA, a non-partisan advocacy group that supports the expansion of publicly funded pre-k.
Today, Department of Human Services (DHS) Secretary Teresa Miller joined Department of Aging (PDA) Secretary Teresa Osborne, stakeholders, and seniors at the Central PA Food Bank to discuss the importance of senior participation in the federal Supplemental Nutrition Assistance Program (SNAP) and Governor Tom Wolf's Food Security Partnership. 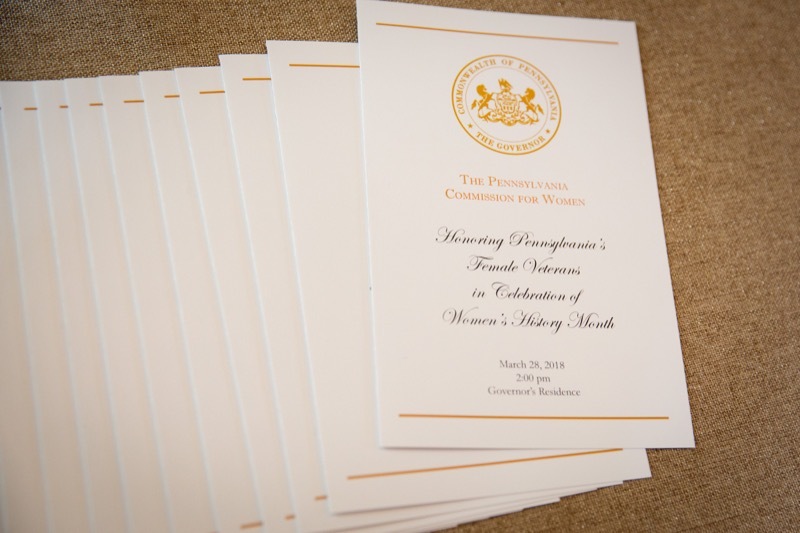 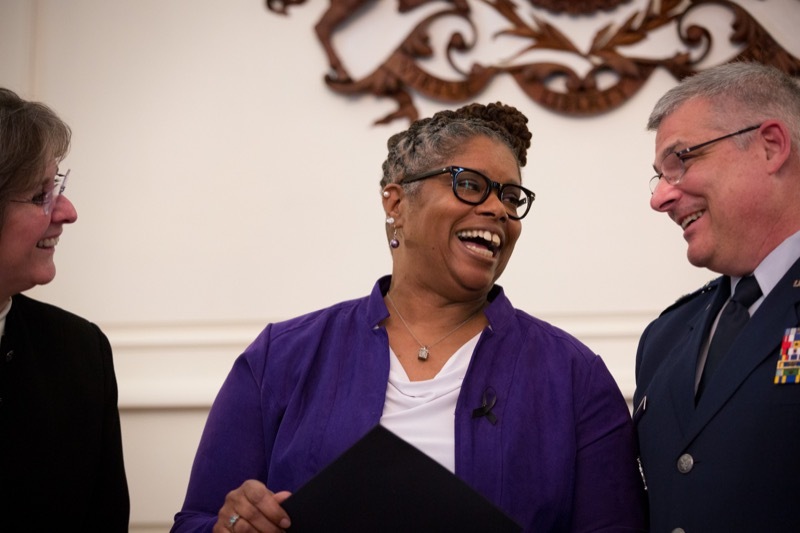 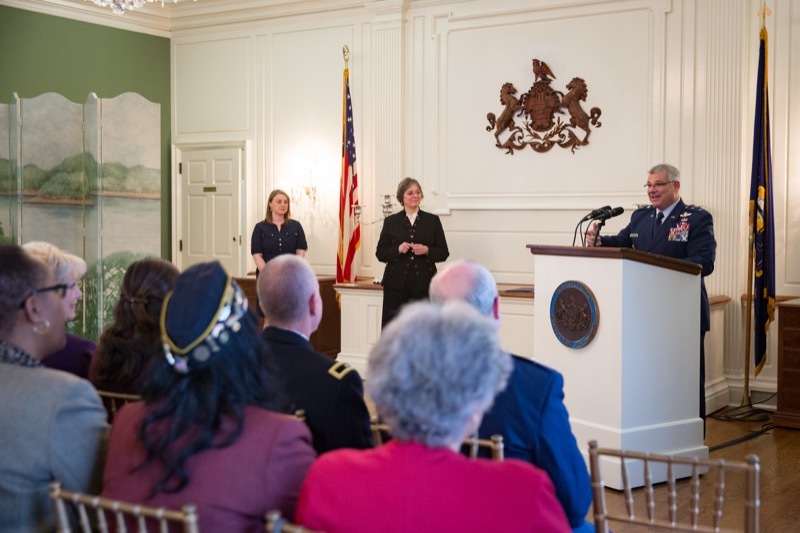 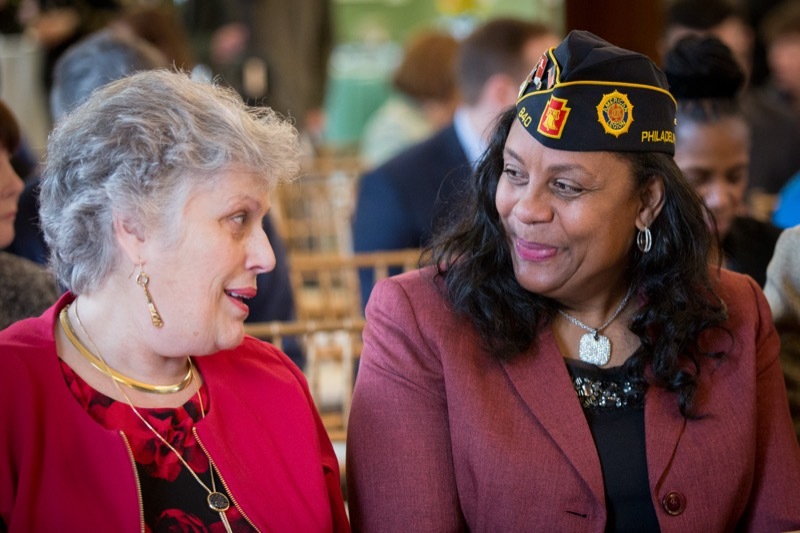 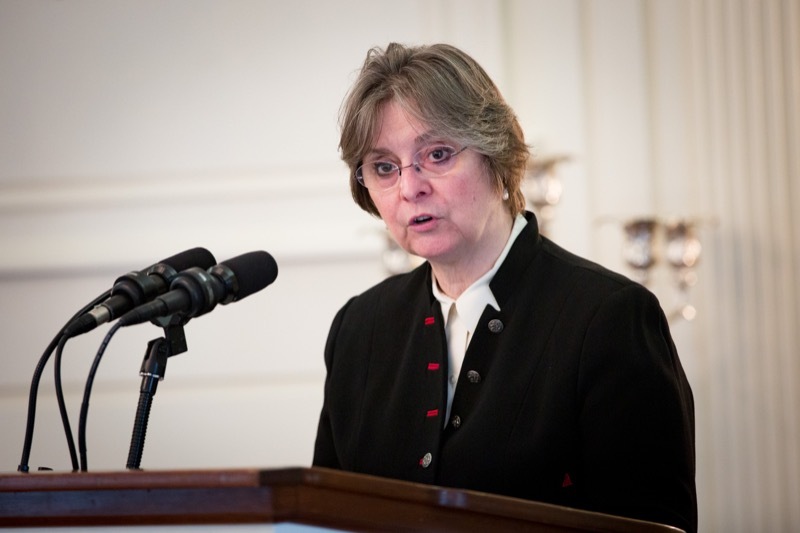 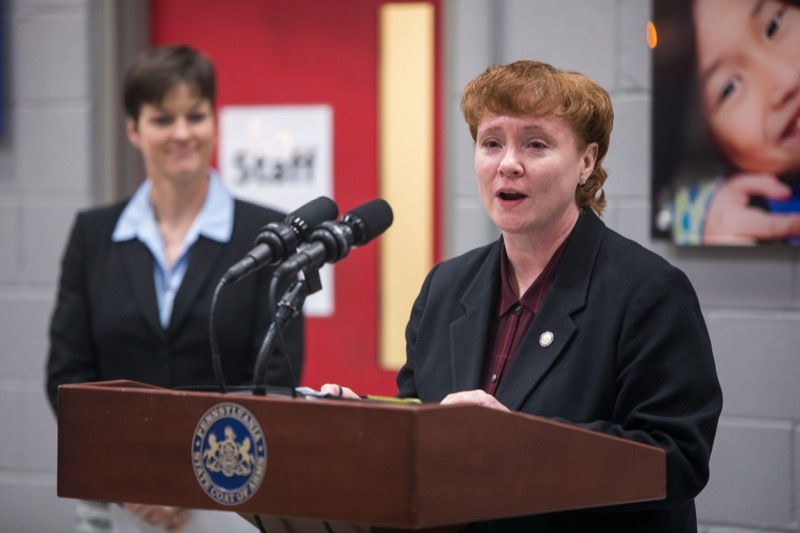 First Lady Frances Wolf and Major General Anthony Carrelli, Pennsylvania's Adjutant General, today joined the Pennsylvania Commission for Women to host the third annual Female Veterans Day Ceremony in celebration of Women's History Month. 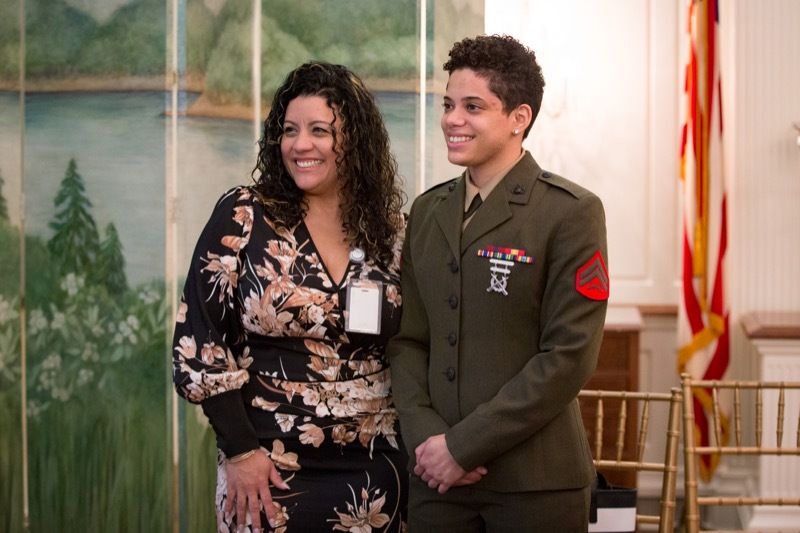 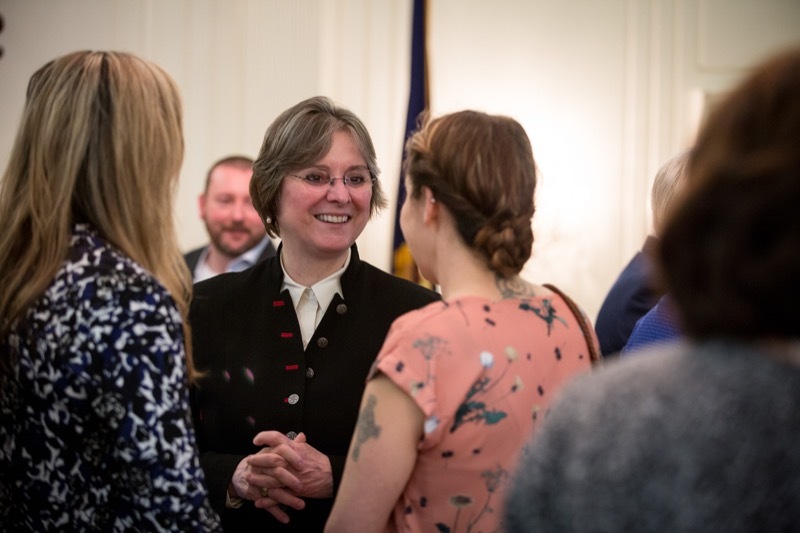 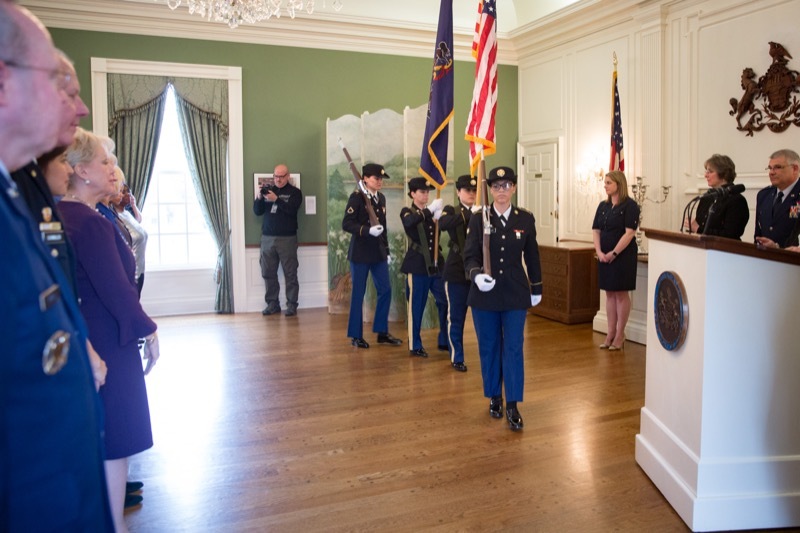 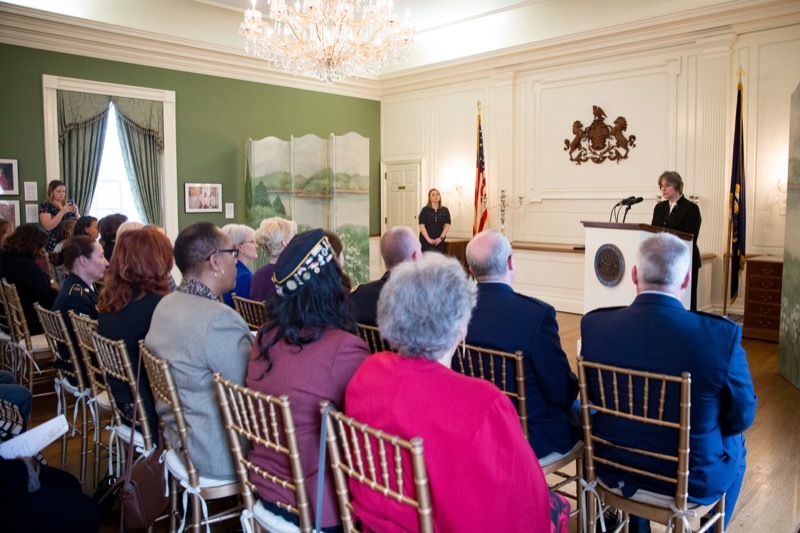 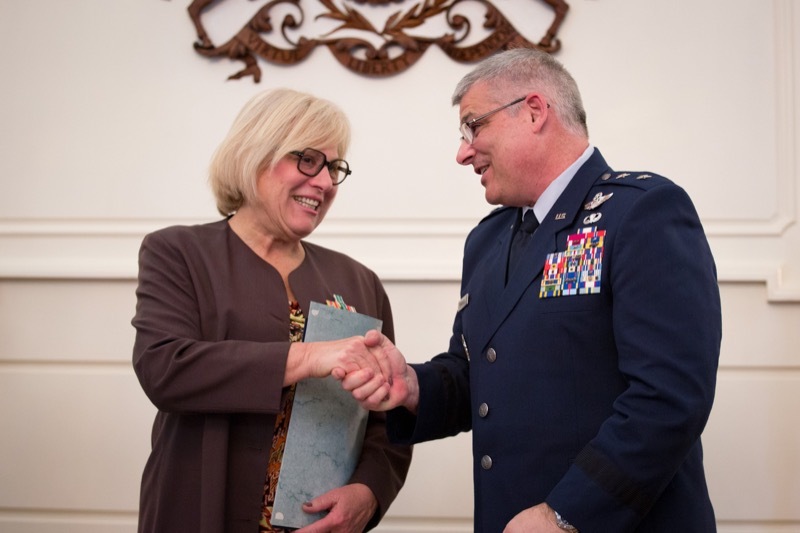 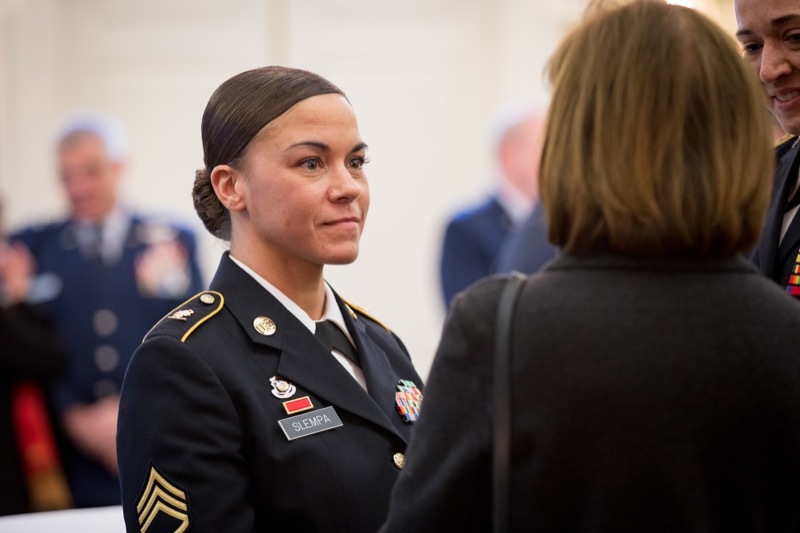 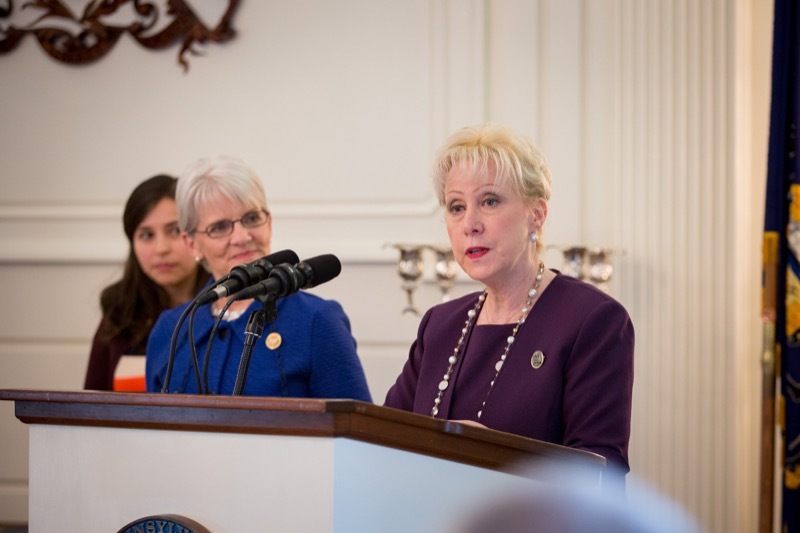 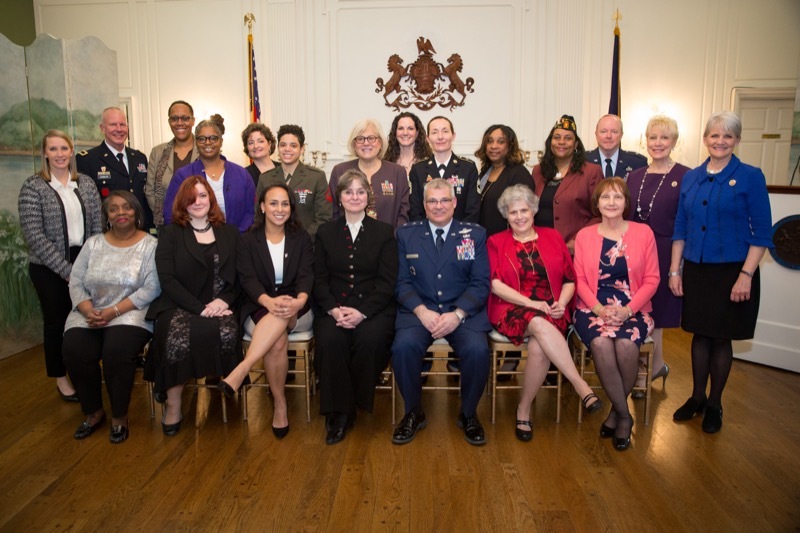 During the event, held at the Governor's Residence in Harrisburg, 16 women from across the commonwealth were recognized for their military service and selfless sacrifice to Pennsylvania and to the nation. 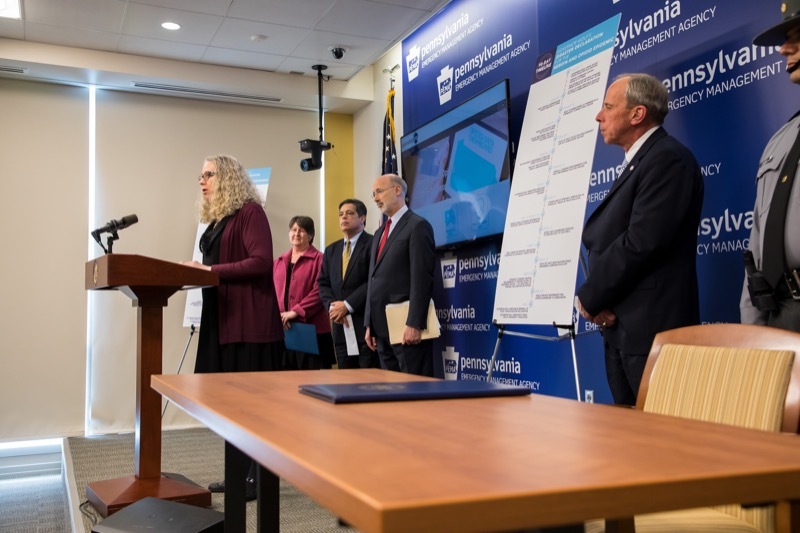 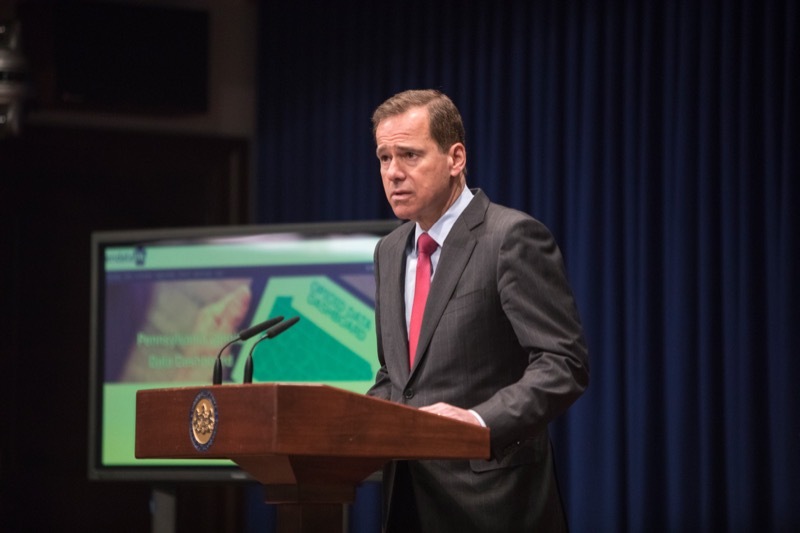 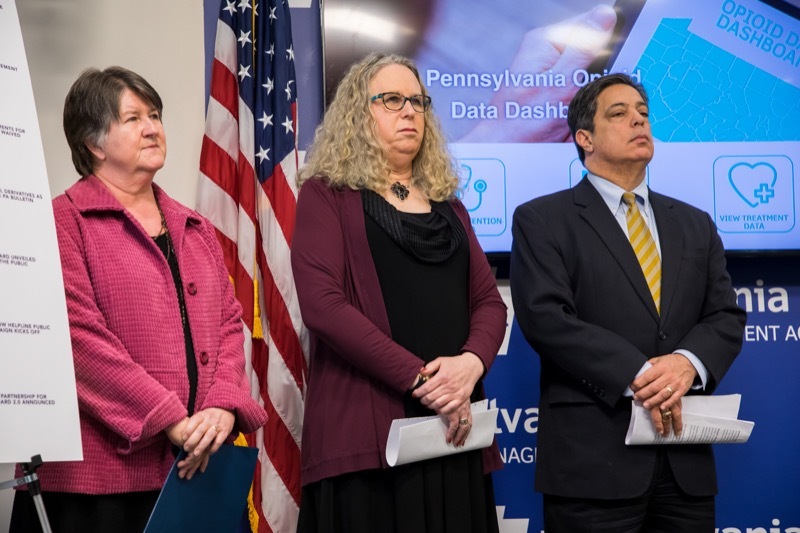 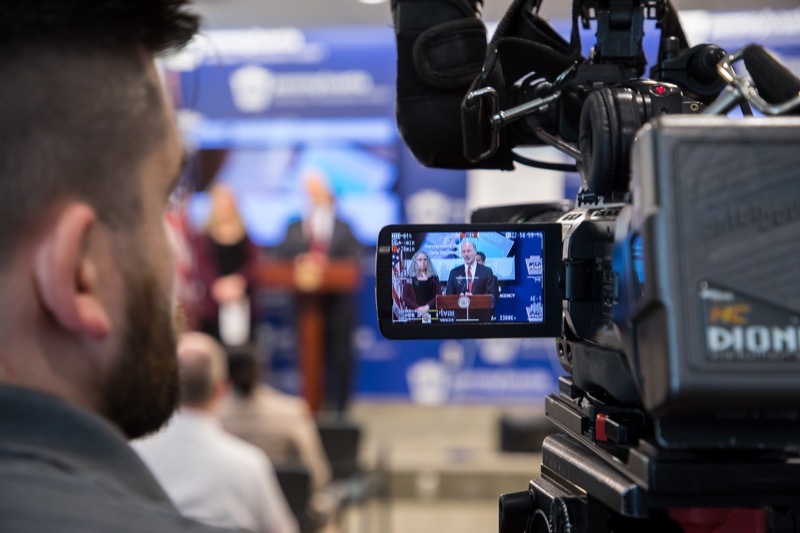 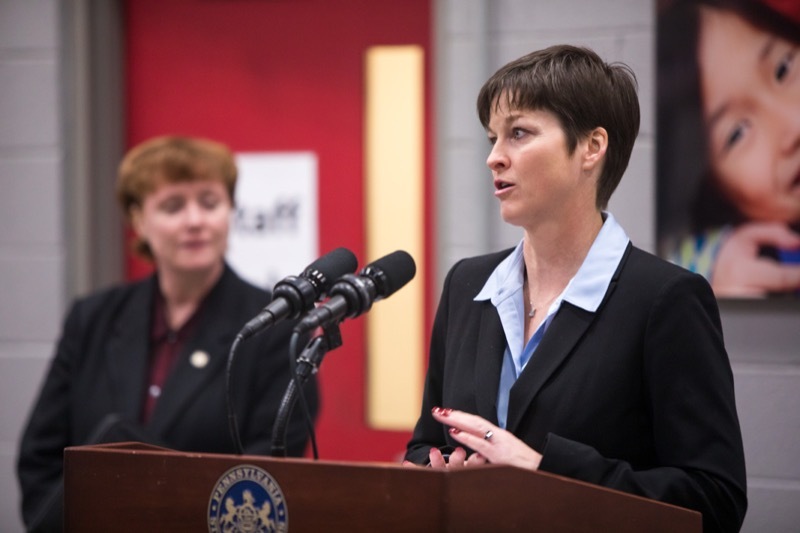 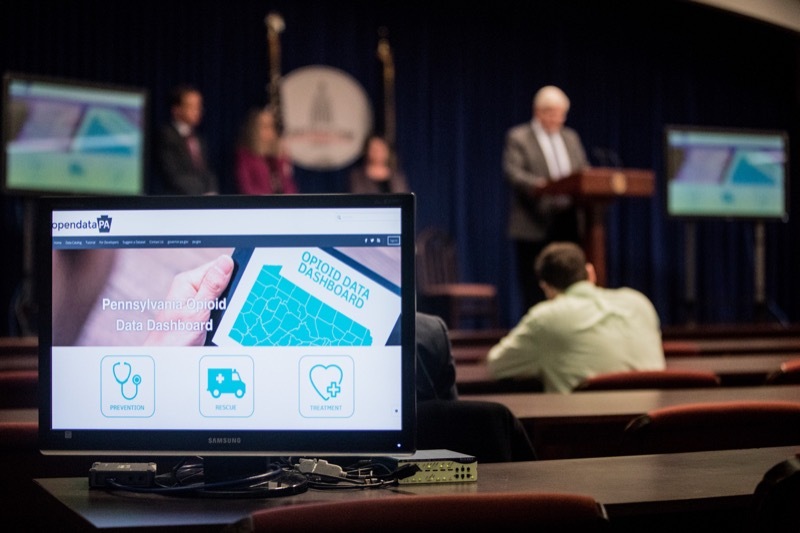 Harrisburg, PA - Governor Tom Wolf's administration today continued its fight against the opioid epidemic by unveiling a unique partnership with the University of Pittsburgh Graduate School of Public Health and the Aetna Foundation to build on the Opioid Data Dashboard, incorporating data and public health modeling. 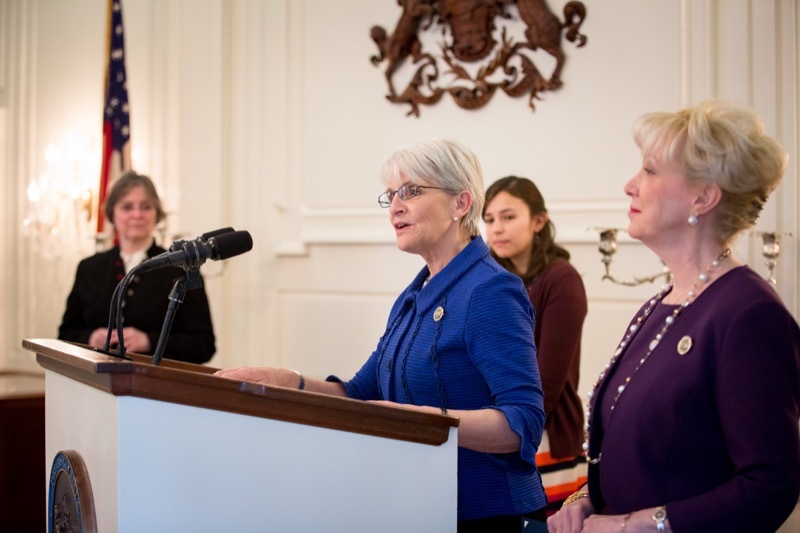 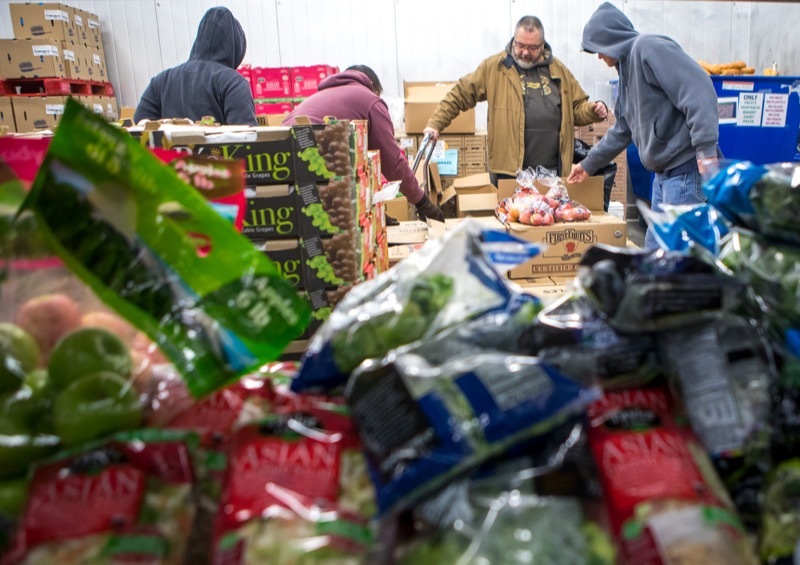 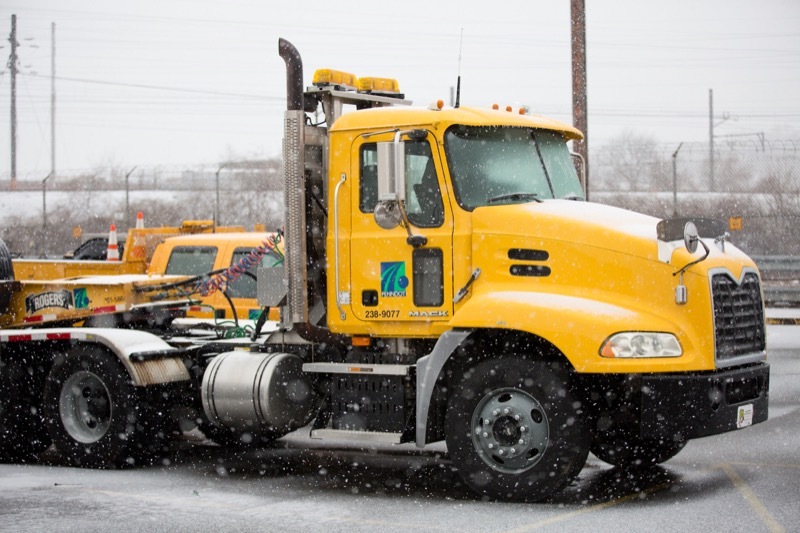 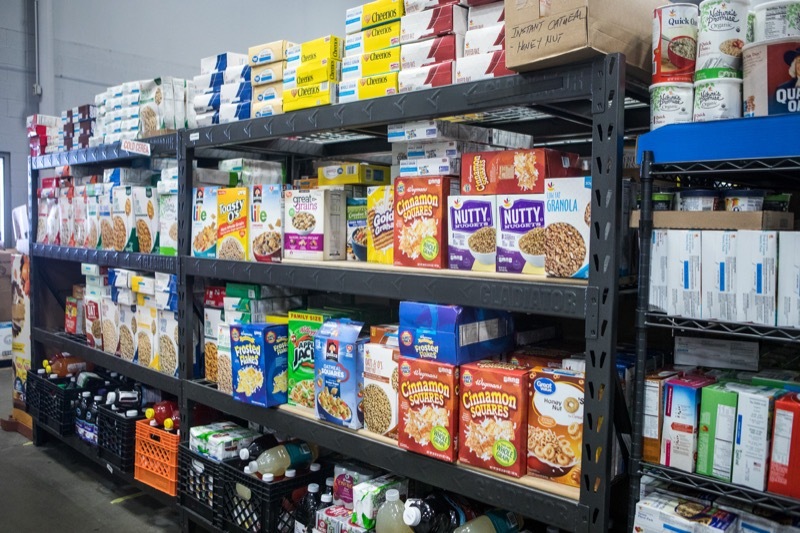 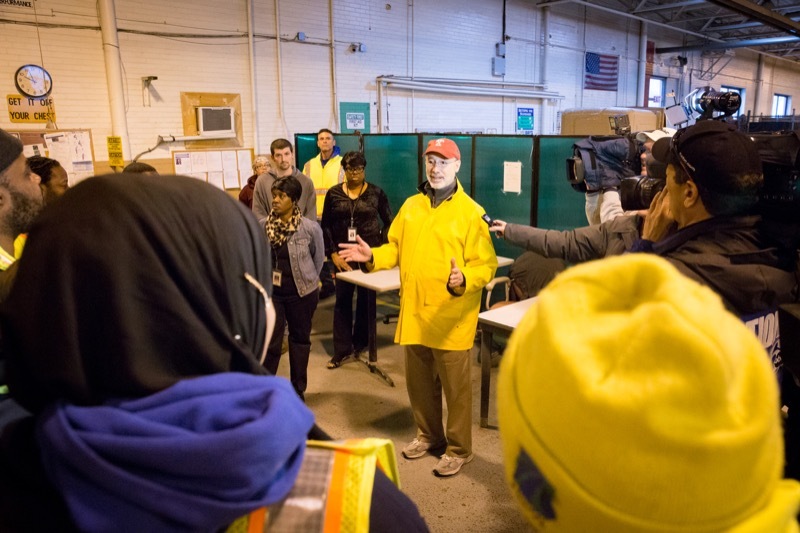 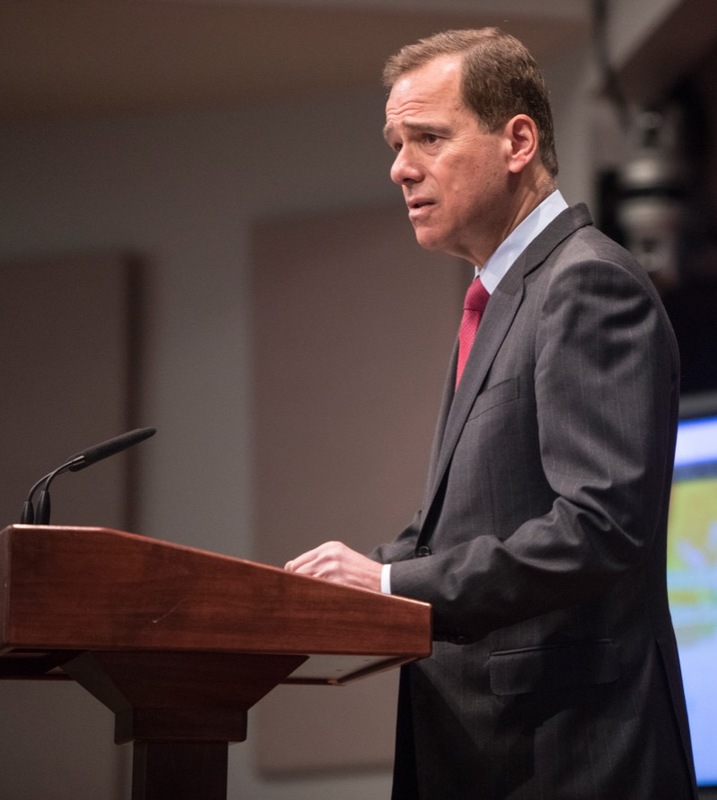 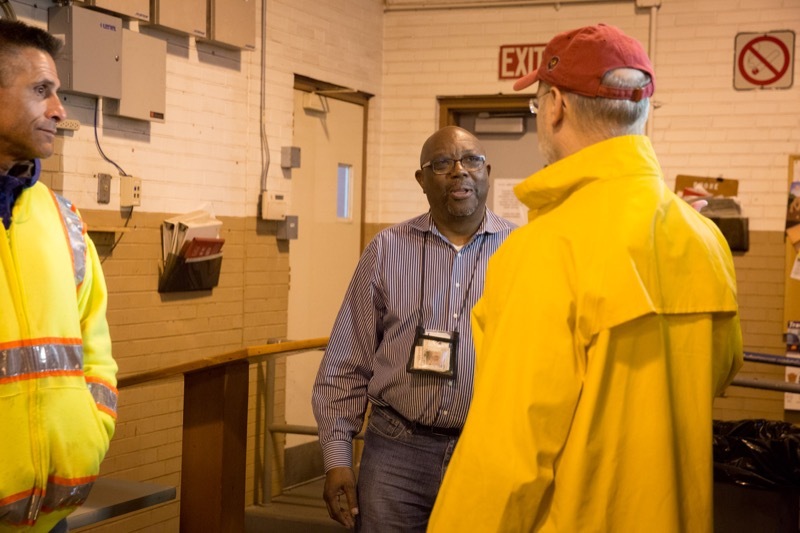 The Aetna Foundation is providing a $1 million grant for the project. 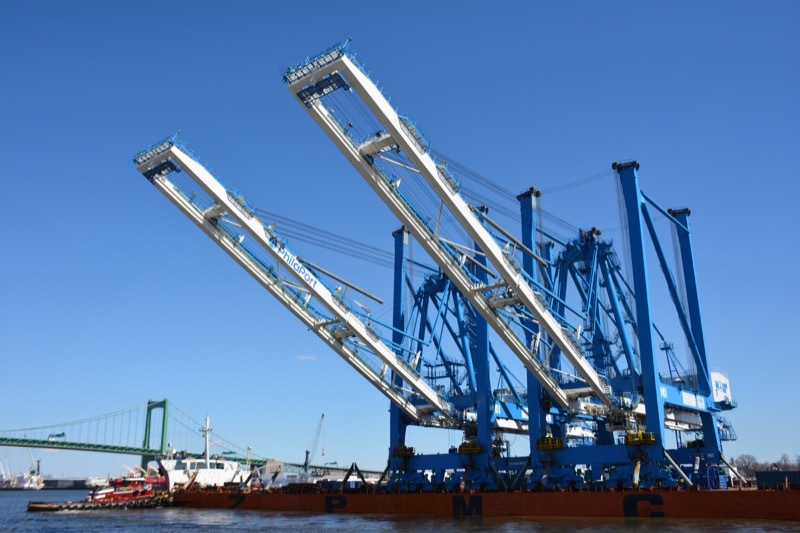 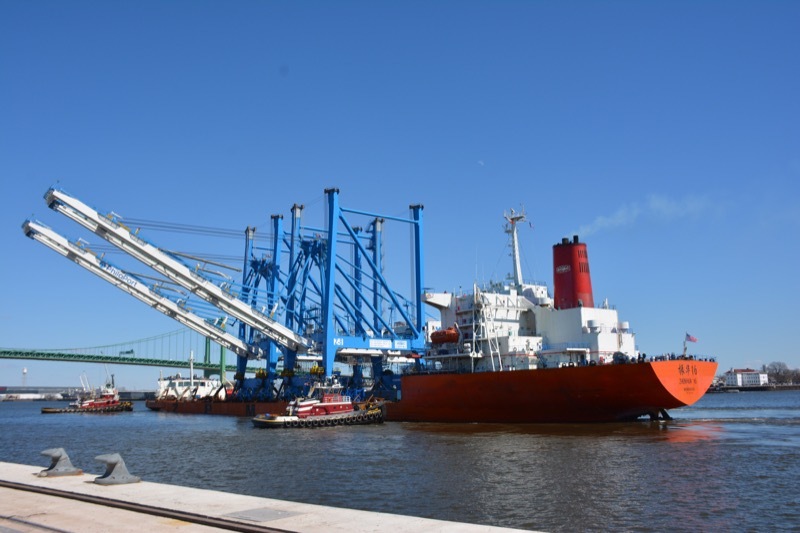 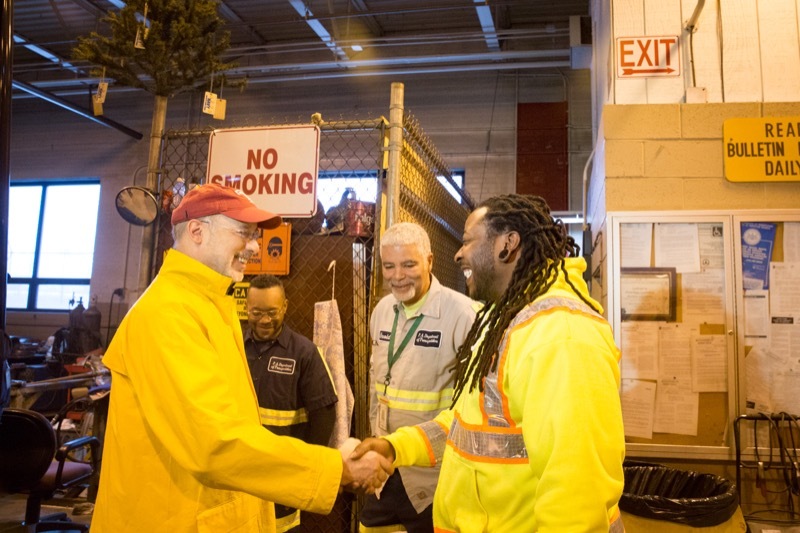 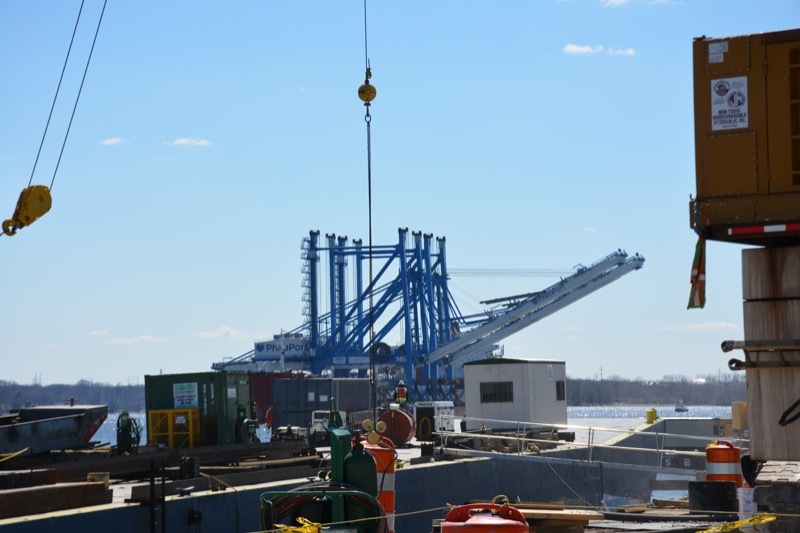 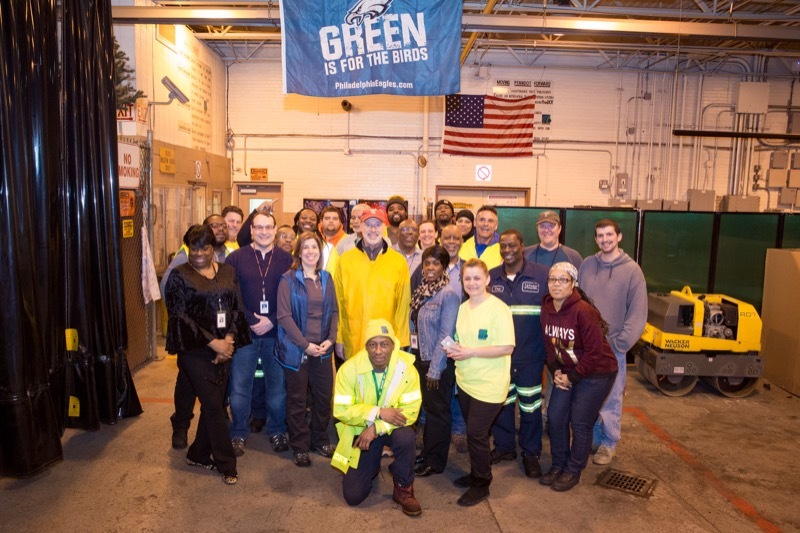 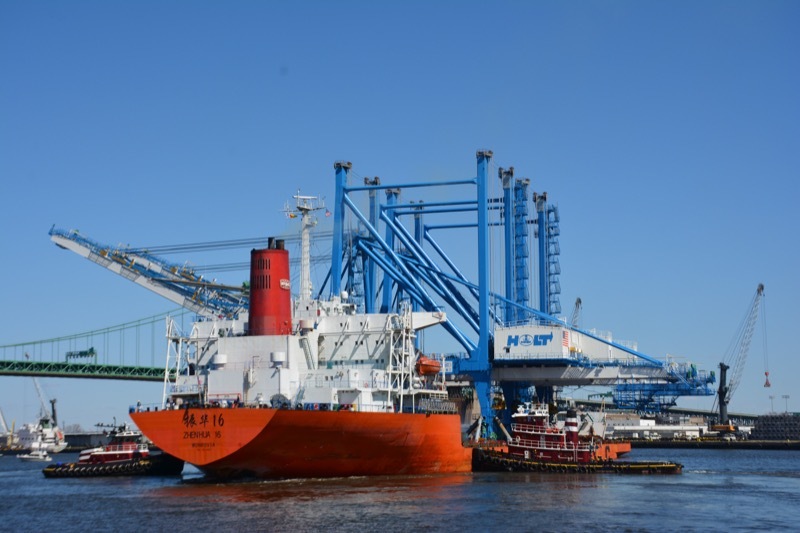 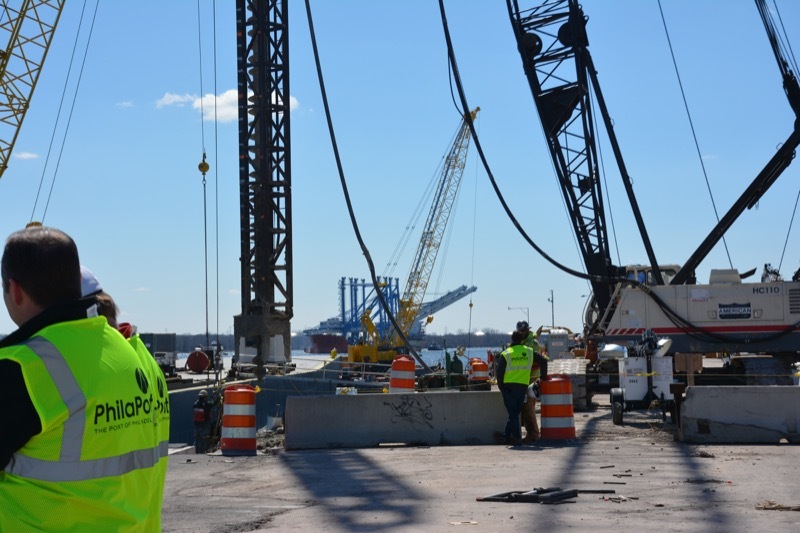 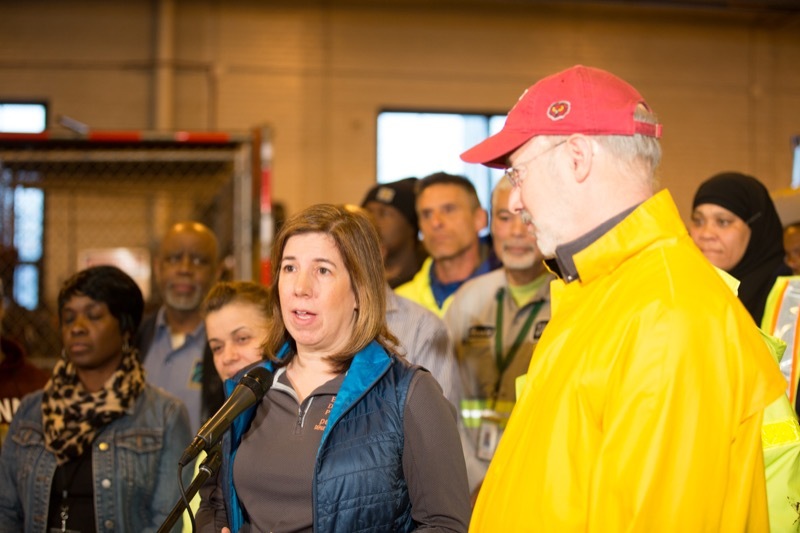 Governor Tom Wolf and Senator Bob Casey celebrate the recent arrival of the first two super post-Panamax cranes at The Port of Philadelphia (PhilaPort), marking another major milestone spurred by the governor's port development plan. 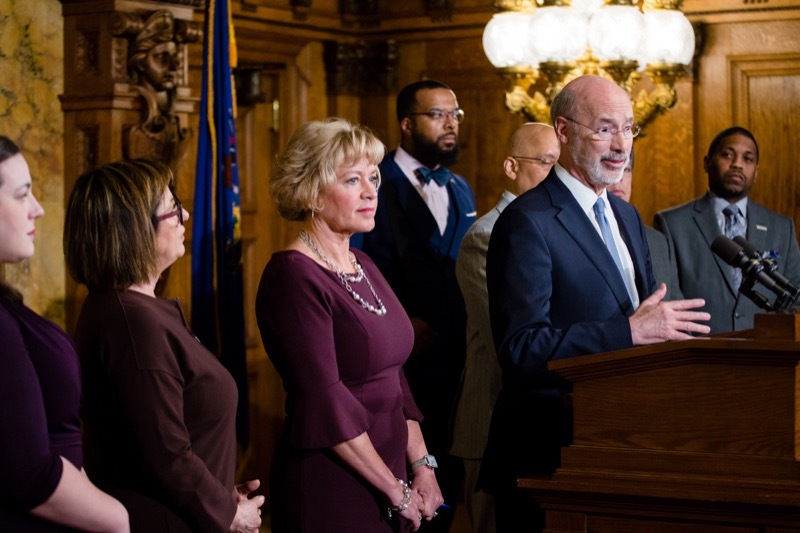 Governor Tom Wolf today will introduce his 21st century voting reform plan that includes same day and automatic voter registration, modernizing absentee voting, ending gerrymandering, and enacting campaign finance reform to reduce the influence of special interests in Harrisburg. 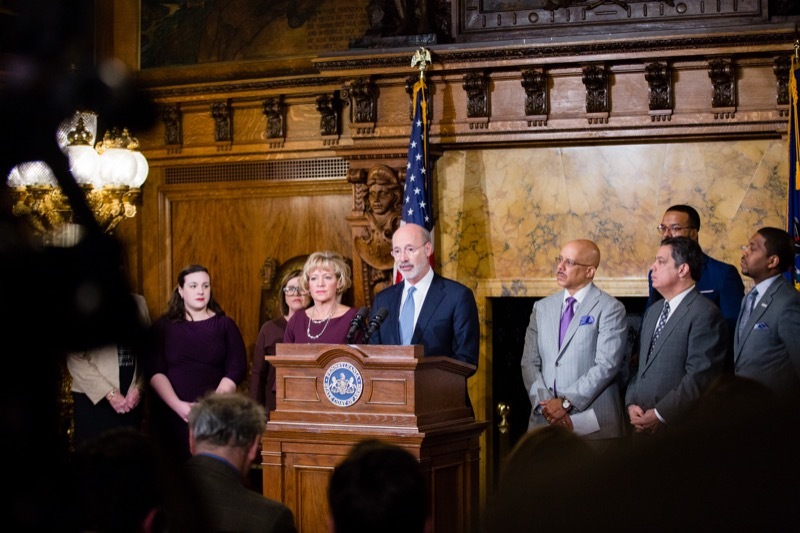 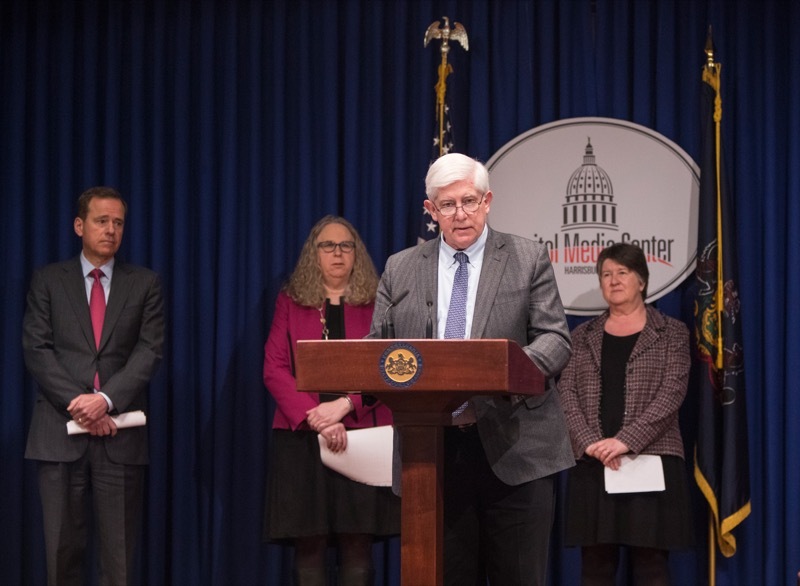 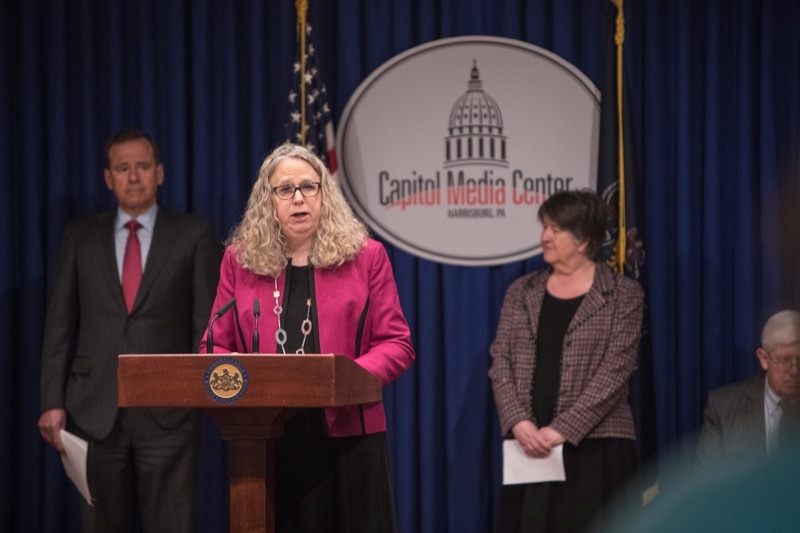 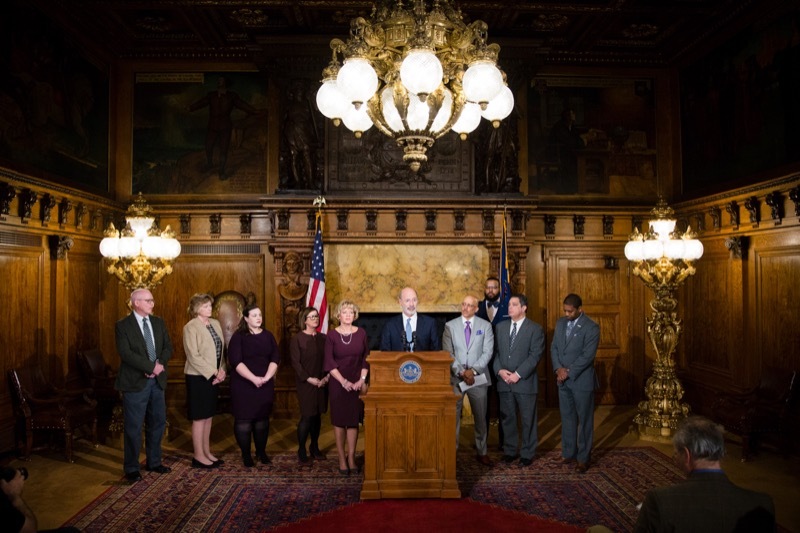 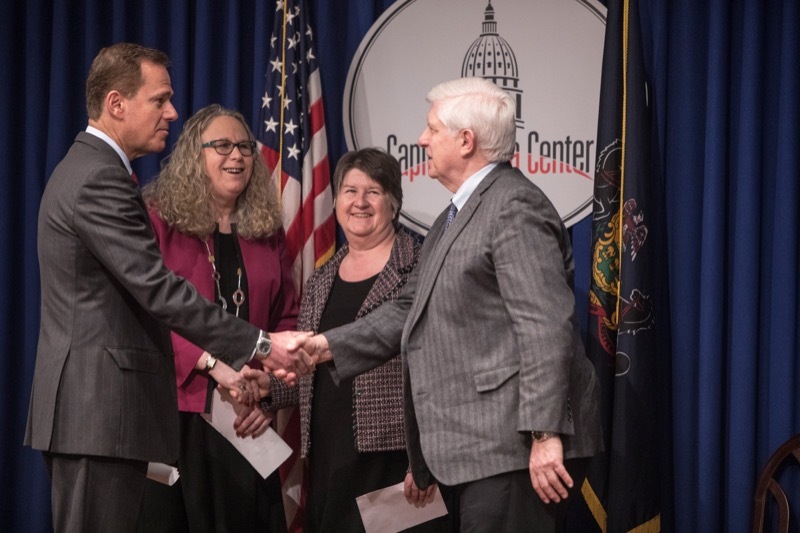 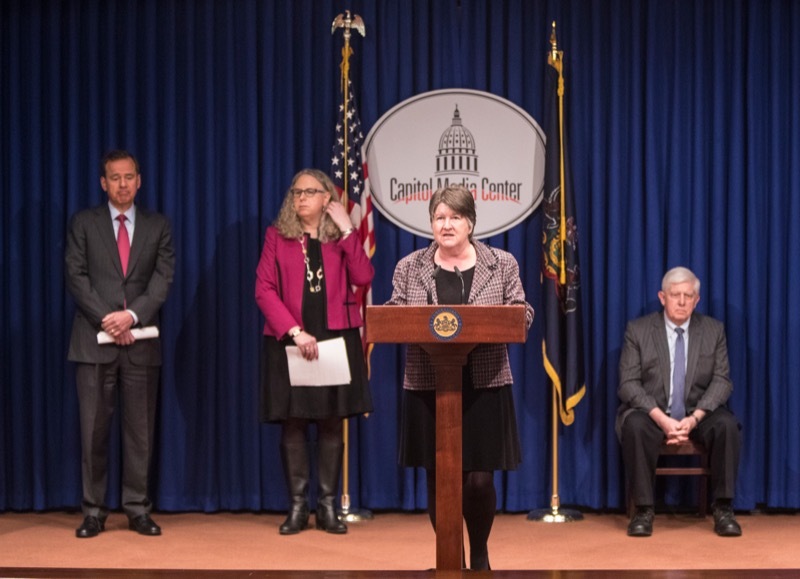 Governor Tom Wolf today introduced his 21st century voting reform plan that includes same day and automatic voter registration, modernizing absentee voting, ending gerrymandering, and enacting campaign finance reform to reduce the influence of special interests in Harrisburg.